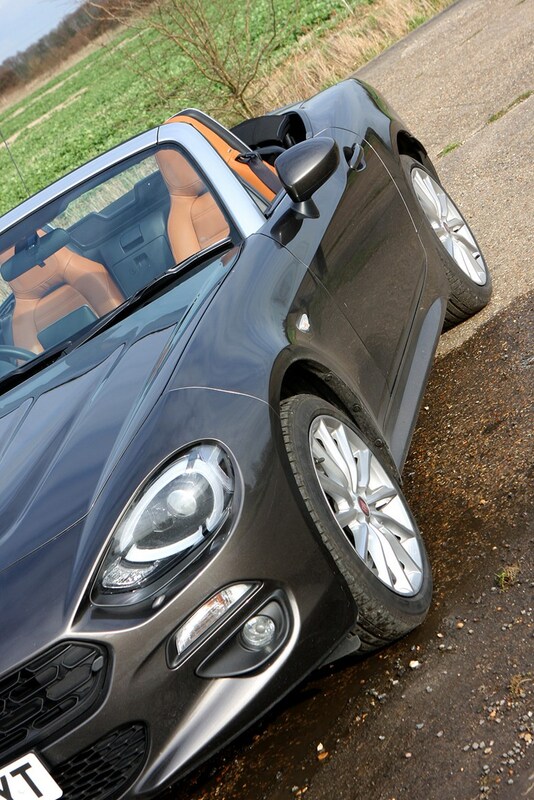 Insurance group: 25 - 26 How much is it to insure? 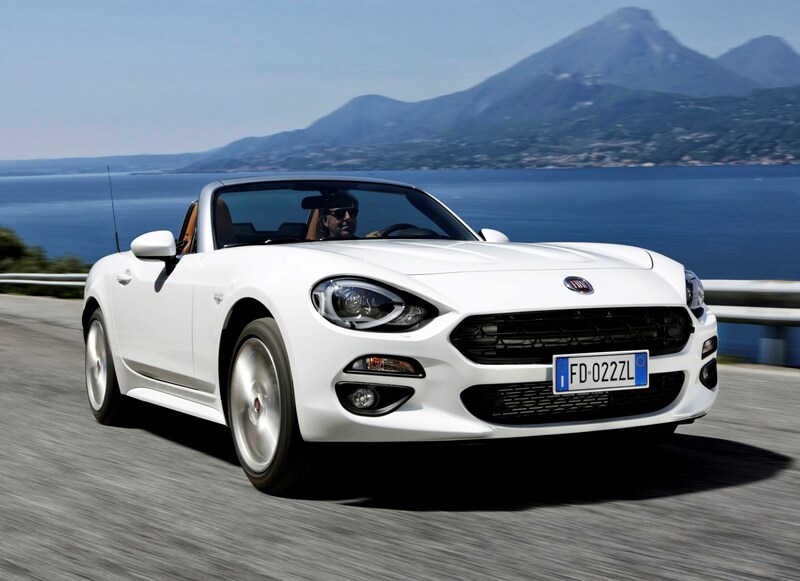 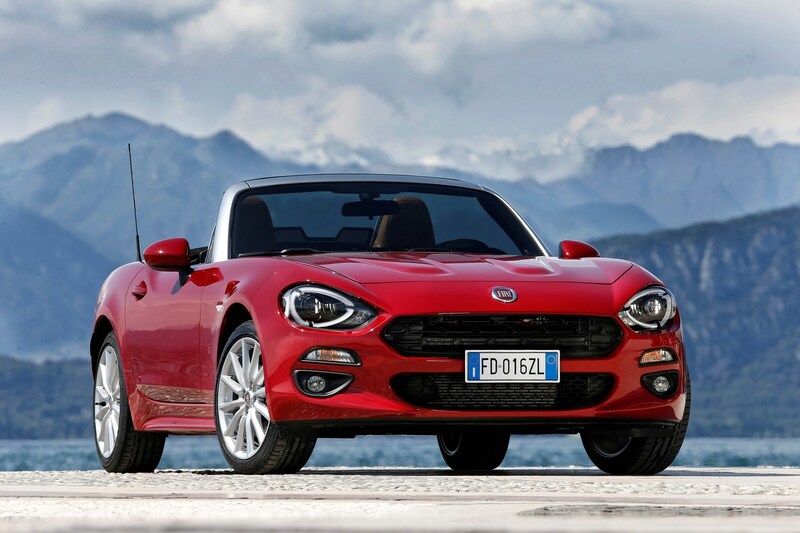 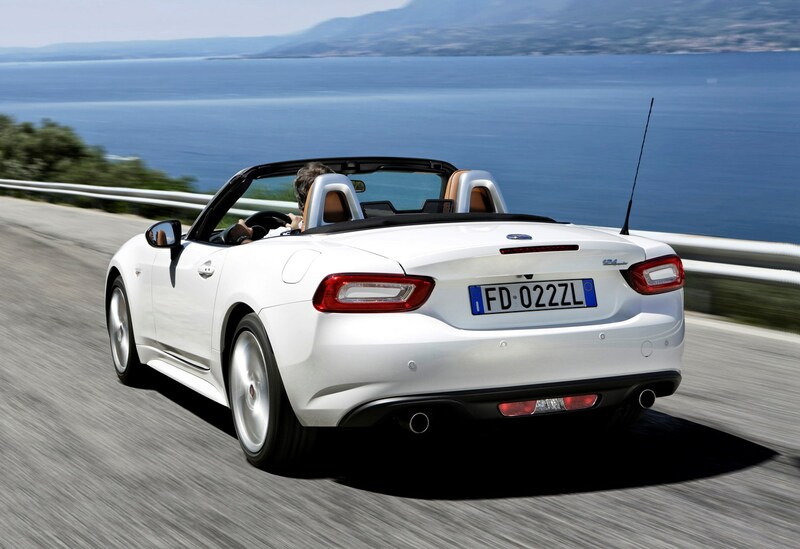 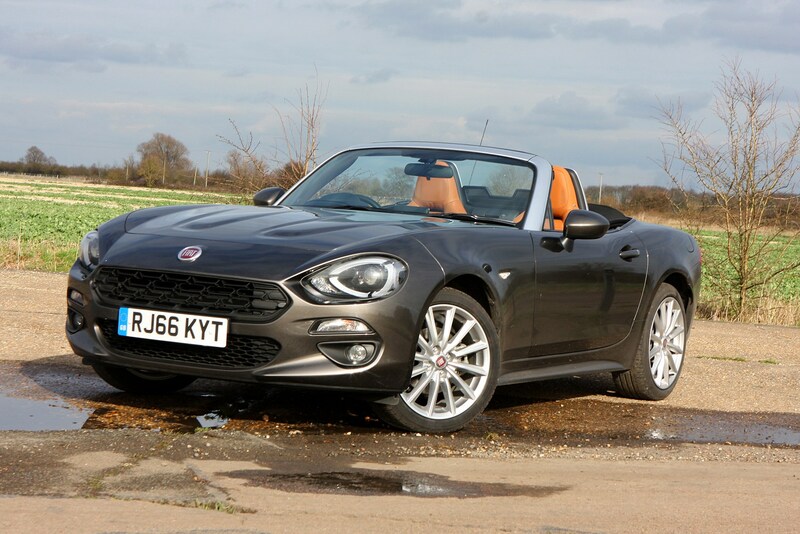 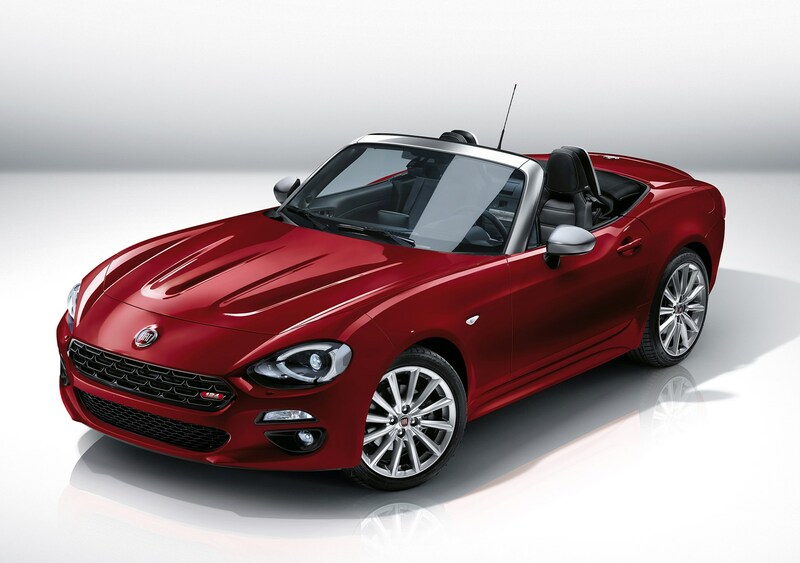 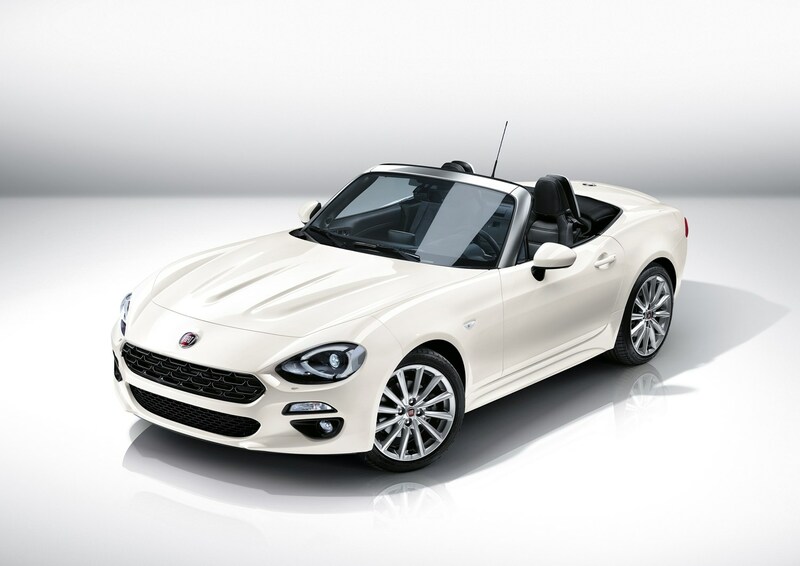 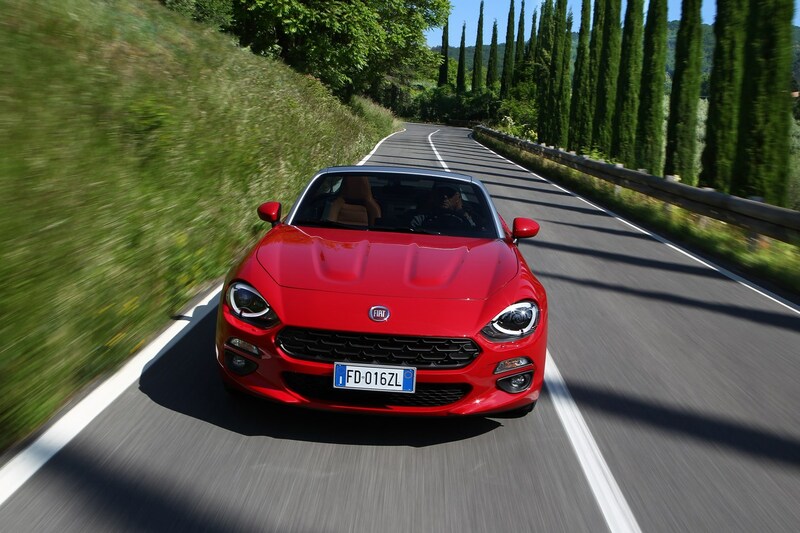 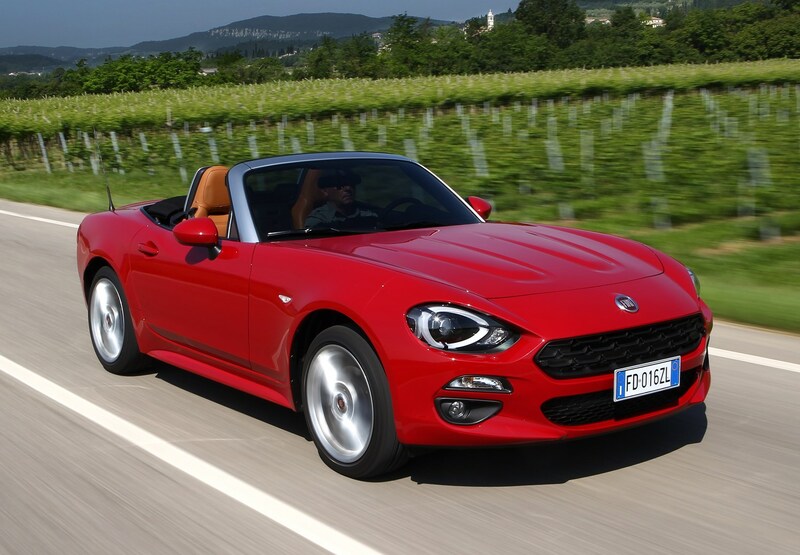 The Fiat 124 Spider is a lightweight, two-seat convertible sports car based on the underpinnings of the popular Mazda MX-5. 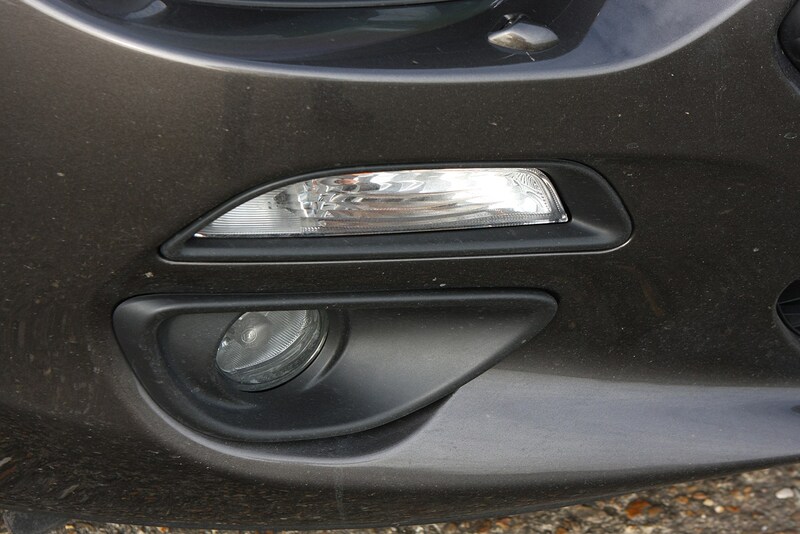 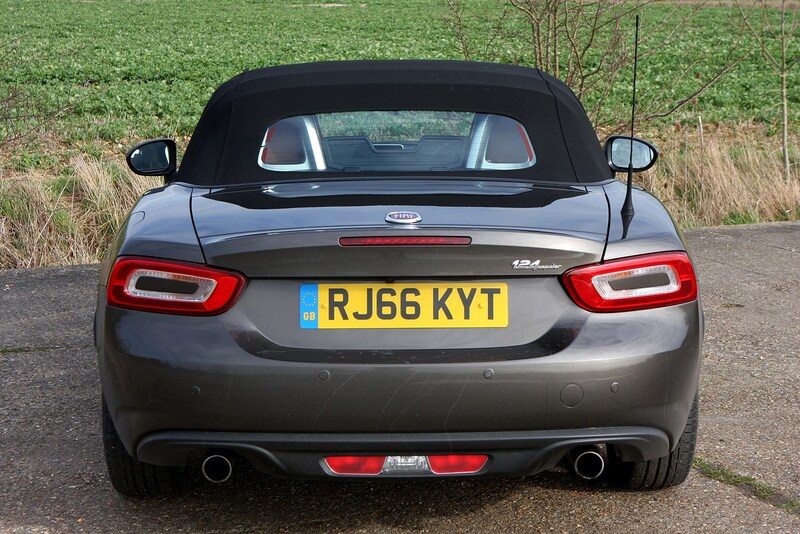 As a result many of its components are shared with its sister car, despite the significant styling differences. 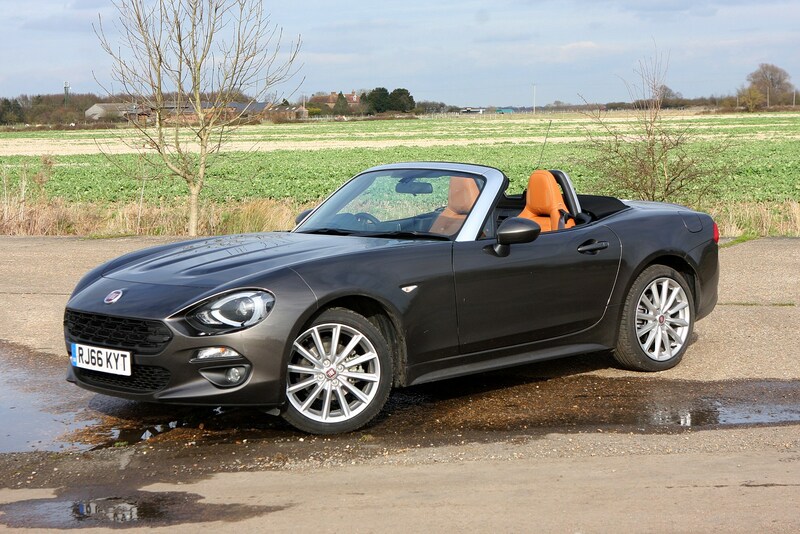 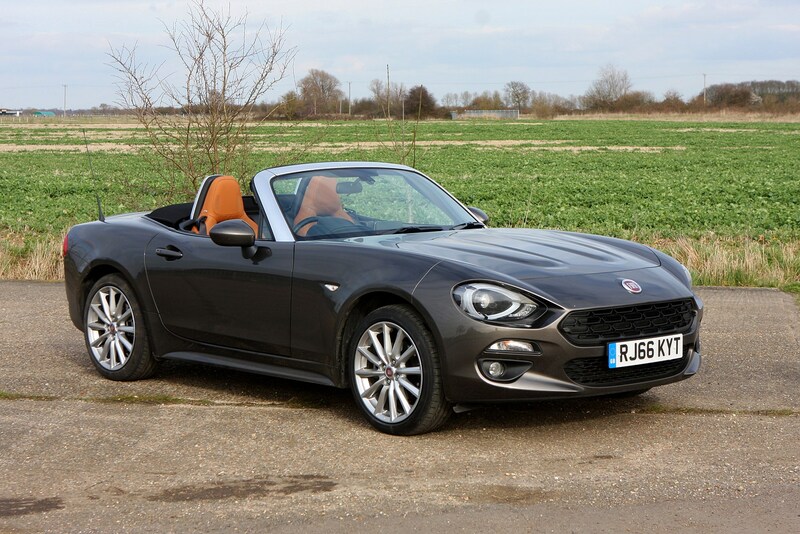 Power is sent to the rear wheels via a 1.4-litre turbocharged engine – differing from the MX-5’s naturally aspirated 1.5-litre and 2.0-litre offerings – while the suspension Fiat’s suspension has also been specially tuned in an attempt to differentiate the cars. 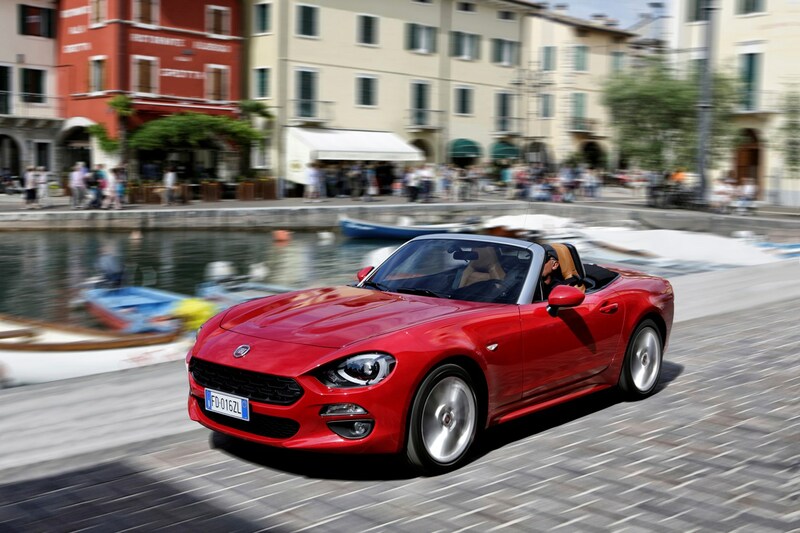 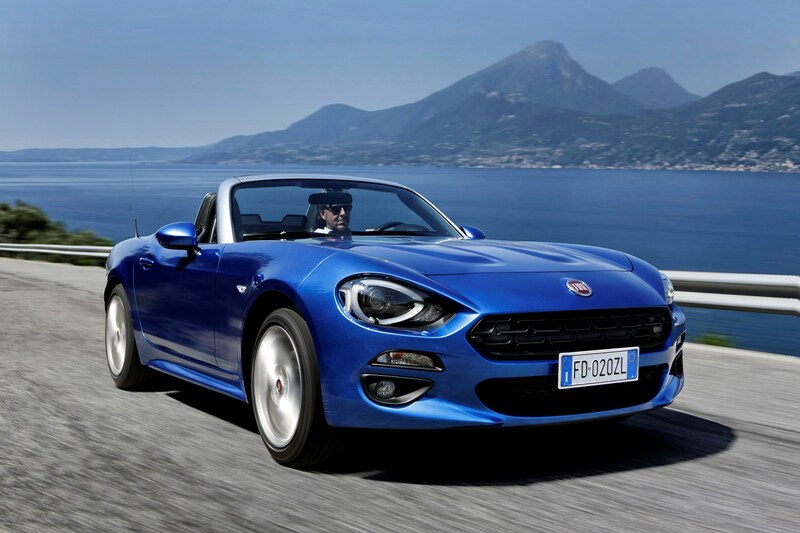 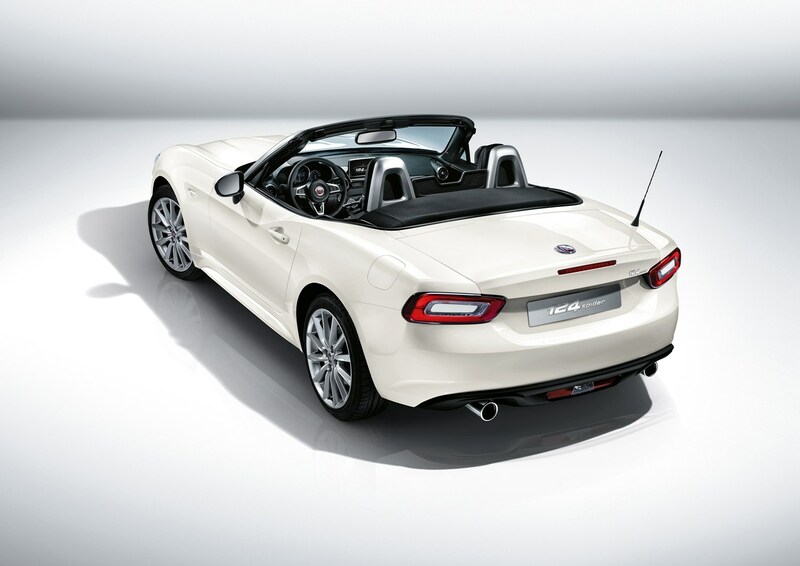 The 124 Spider’s rivals are exactly the same, however, with the two-seat roadster going up against pricier models such as the Audi TT Roadster and BMW 2 Series Convertible, as well as those closer to home in the form of the Mazda MX-5 and Abarth 124 Spider. 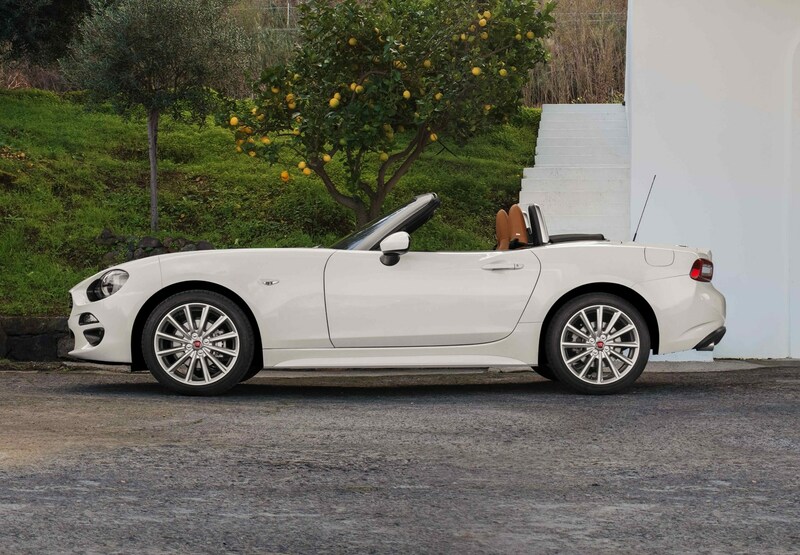 Costing a touch more than the entry-level Mazda, the 124 Spider range has three trim levels, from no-frills Classica through Lusso (seven-inch touchscreen infotainment system as standard, 17-inch wheels, heated seats, parking sensors, silver body trim, chromed exhaust tips) to top-spec Lusso Plus with adaptive LED headlights and a Bose sound system. 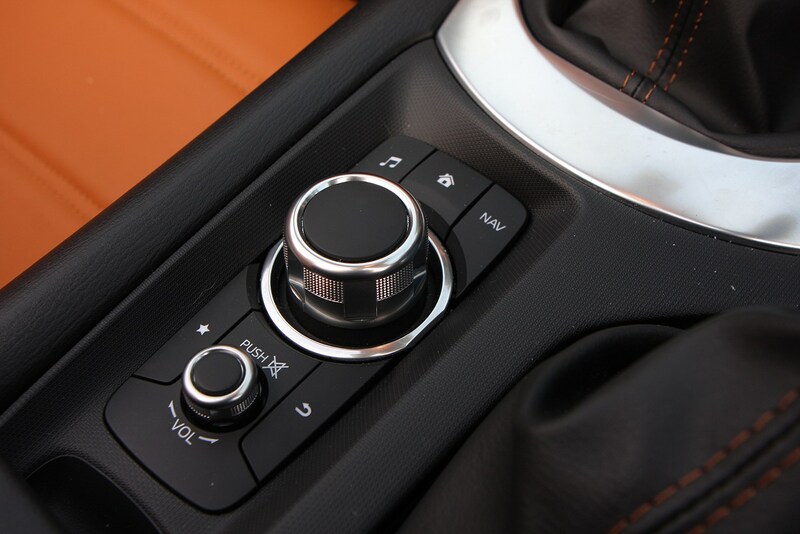 Unlike on the Mazda, you can’t specify a limited-slip differential. 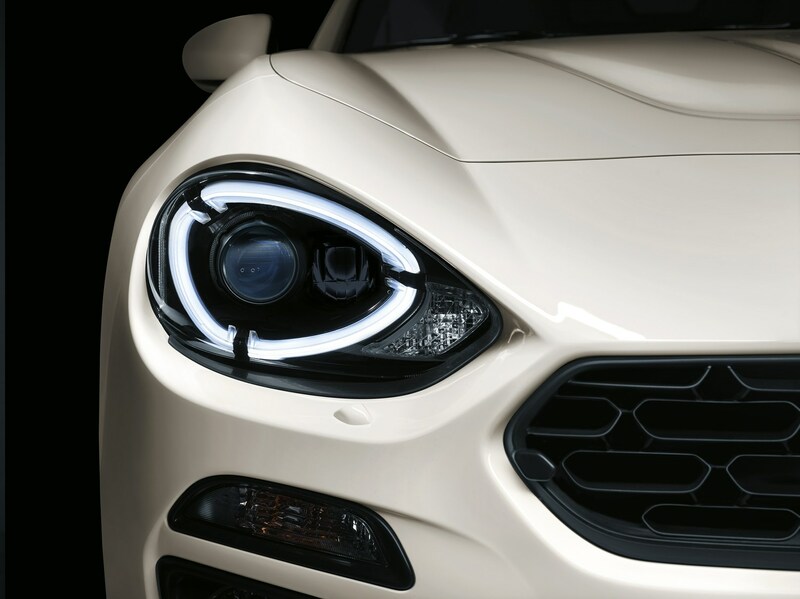 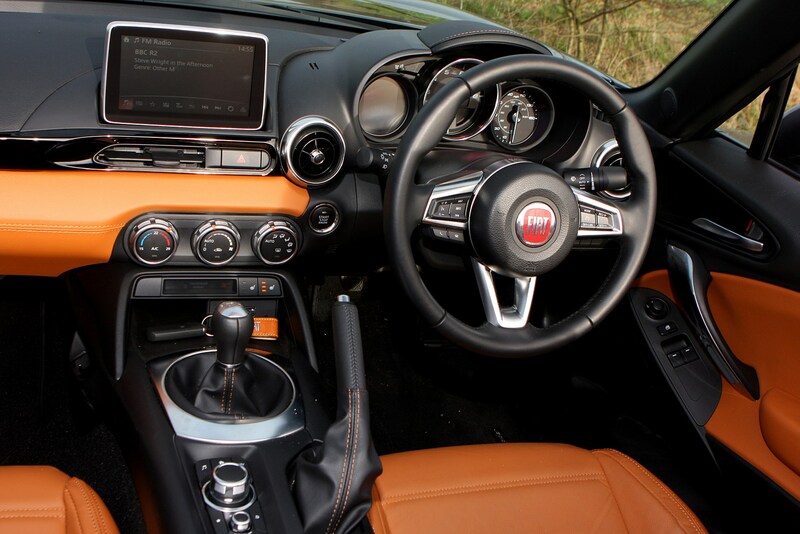 There’s little in the way of conventional optional extras, such as Apple CarPlay or electric folding mirrors, but Fiat does allow customers to choose from a number of exterior paint and upholstery colours. 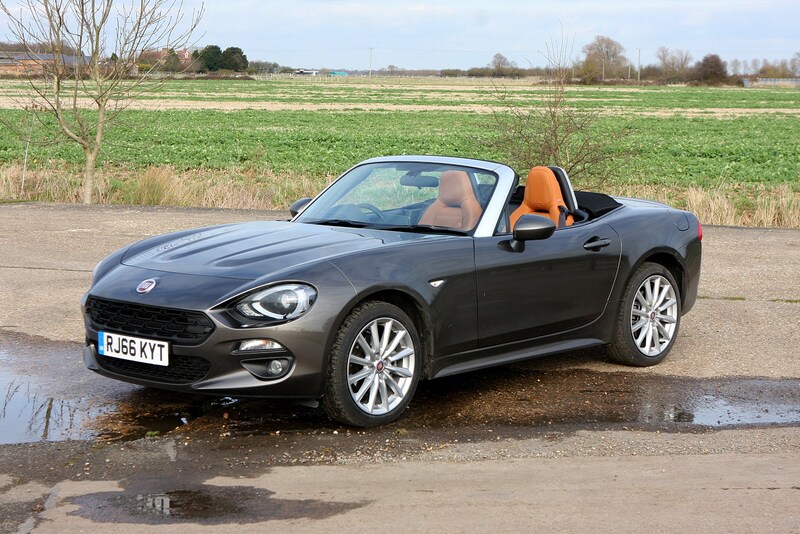 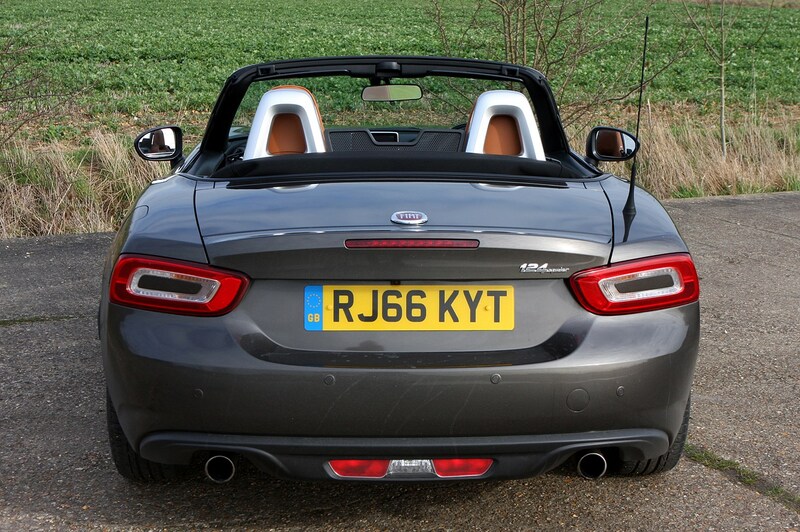 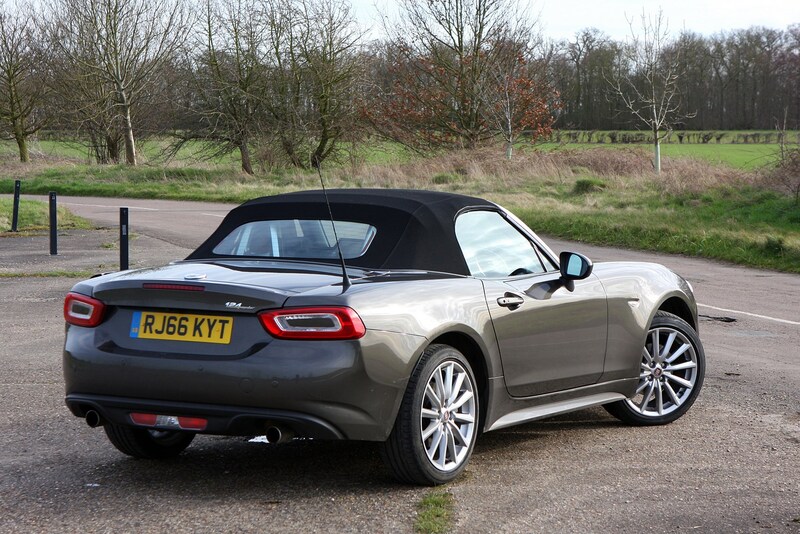 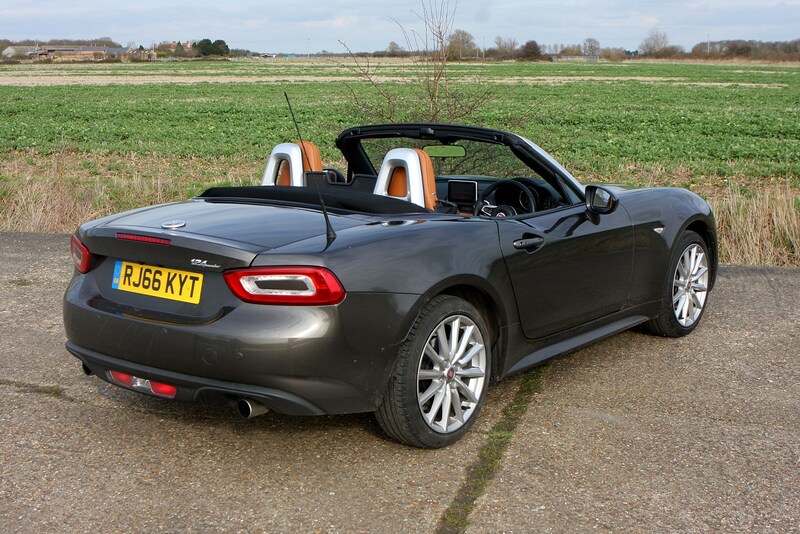 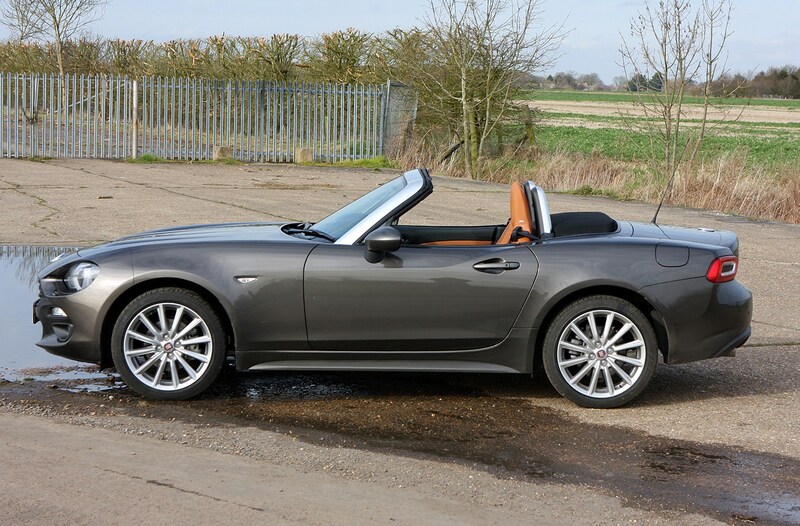 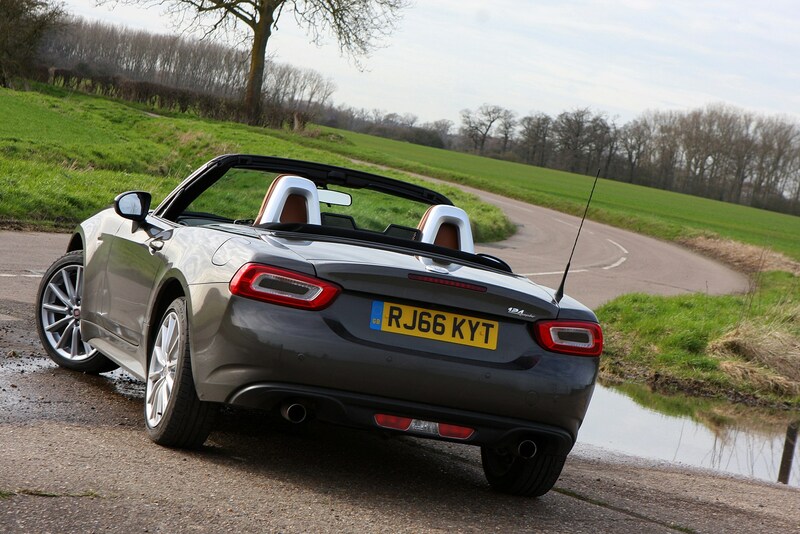 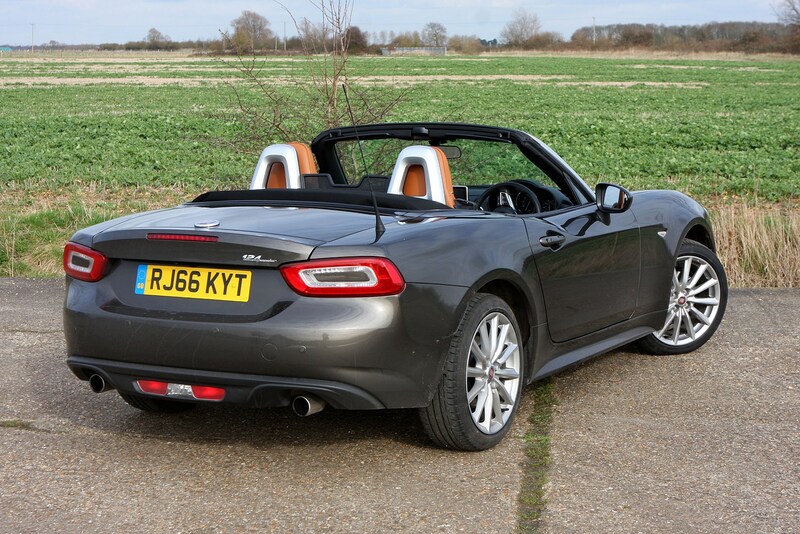 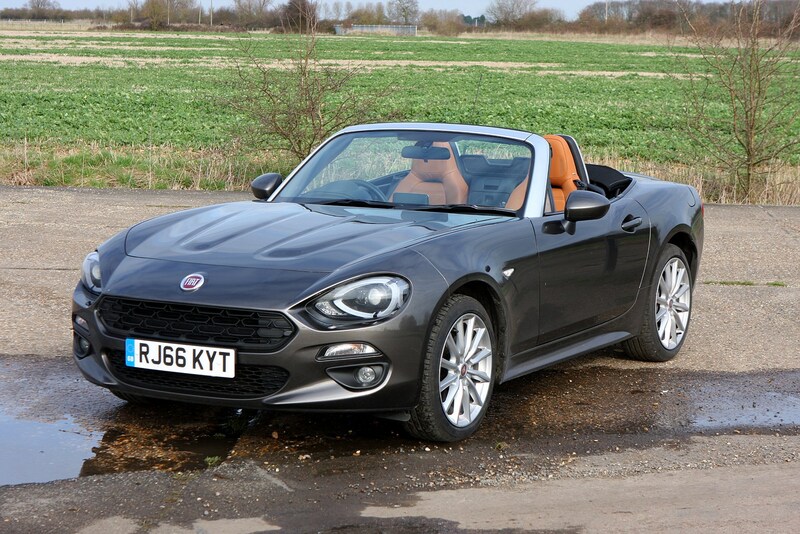 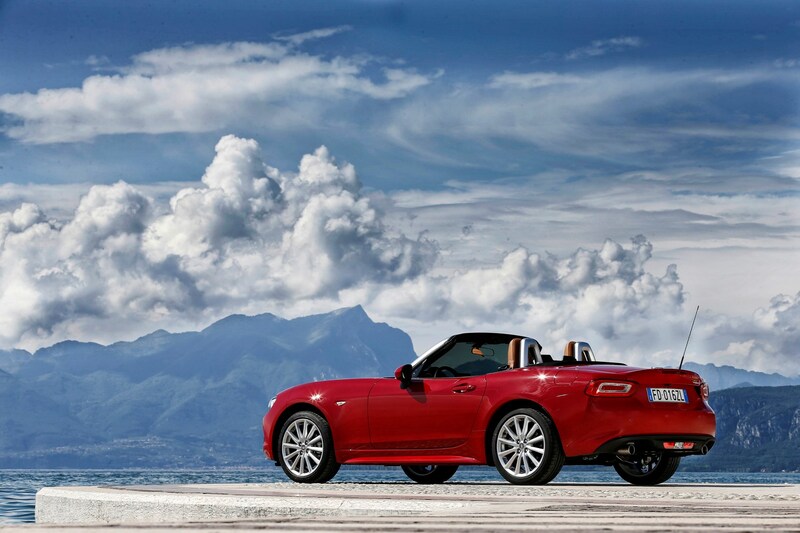 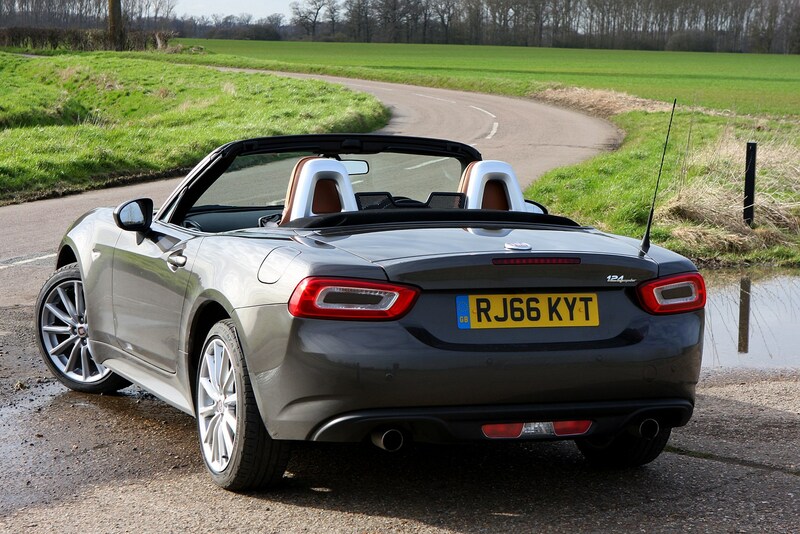 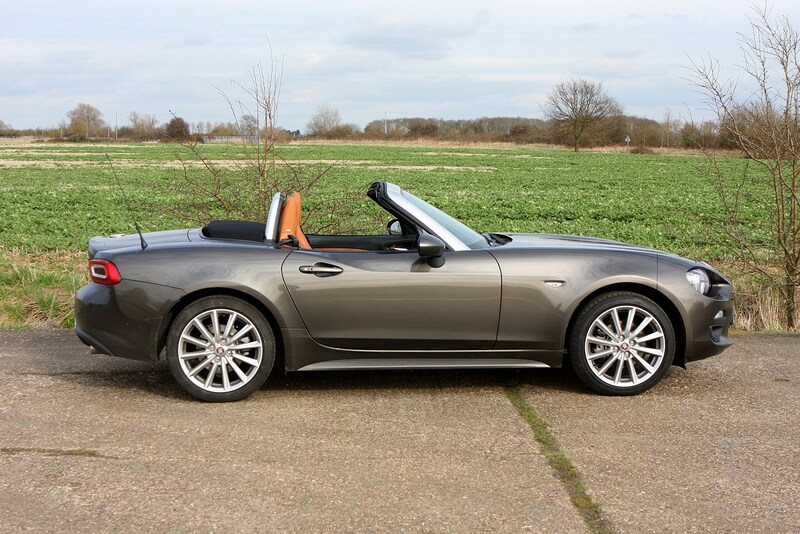 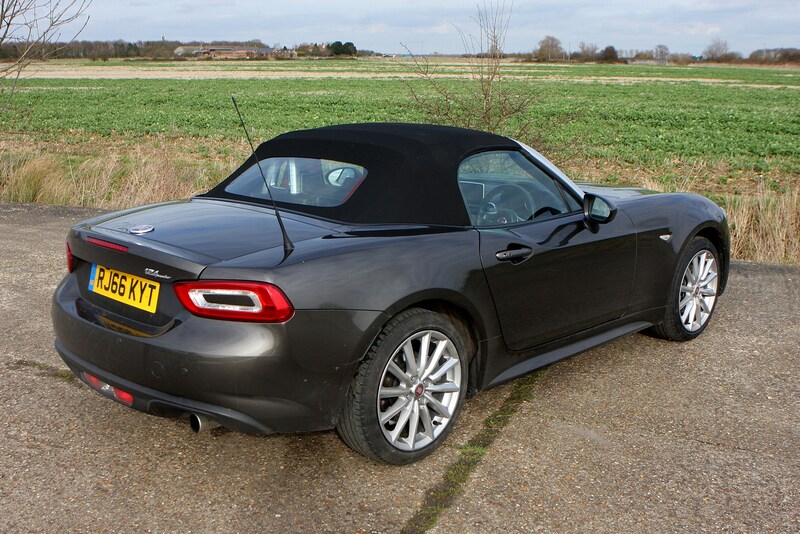 You’d expect the 124 Spider to drive like an MX-5 and, in very general terms, it does. 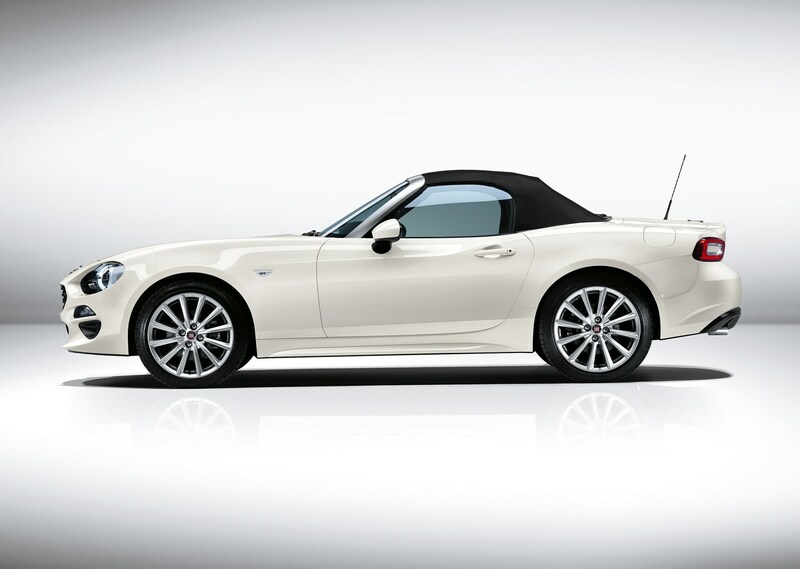 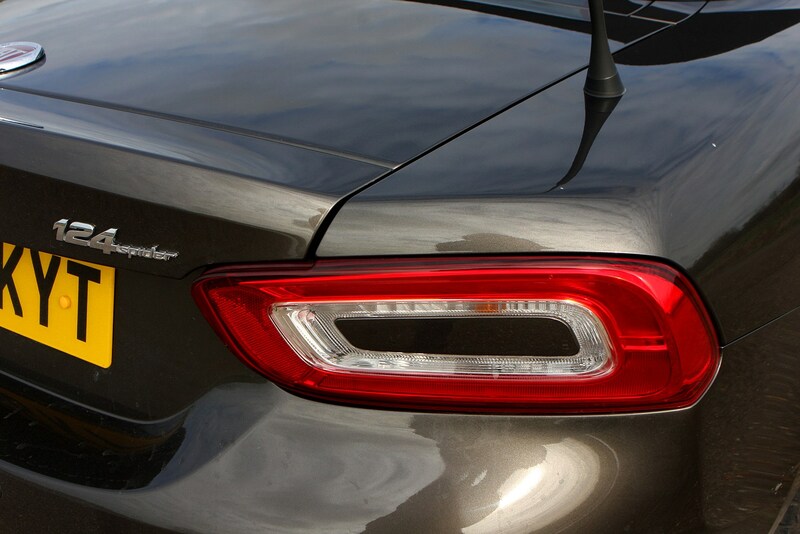 It shares with the Mazda an all-pervading and very likeable sense of lightness. 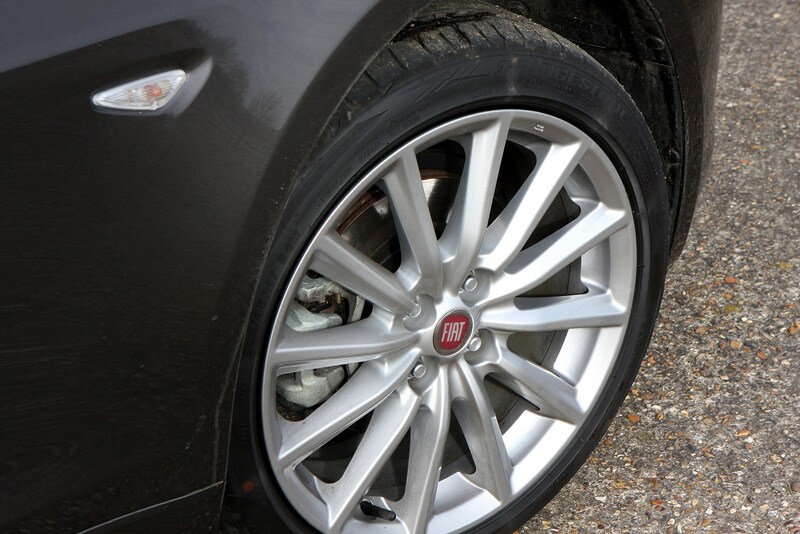 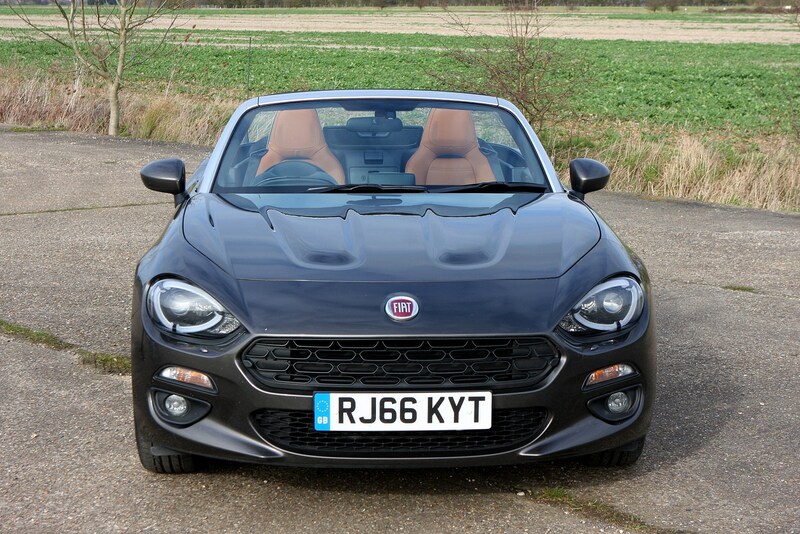 At 1060kg, the Fiat is a third less heavy than something like a BMW 2 Series Convertible, and you can feel that in the way it effortlessly changes direction and accelerates, despite the relatively modest power output. 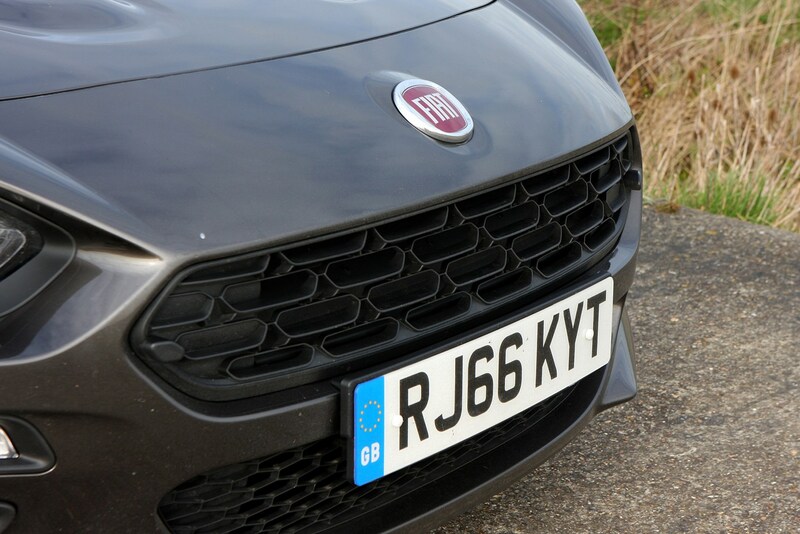 The steering is light but direct and nicely communicative, relaying plenty of information about just how much grip the front tyres have in reserve as you enter a corner. 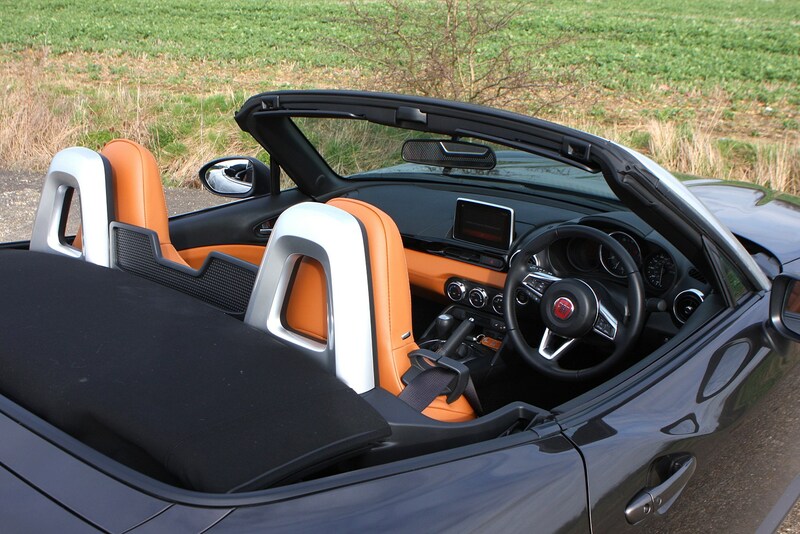 Similarly, the suspension strikes a satisfying balance between cosseting compliance and confidence-boosting body control. 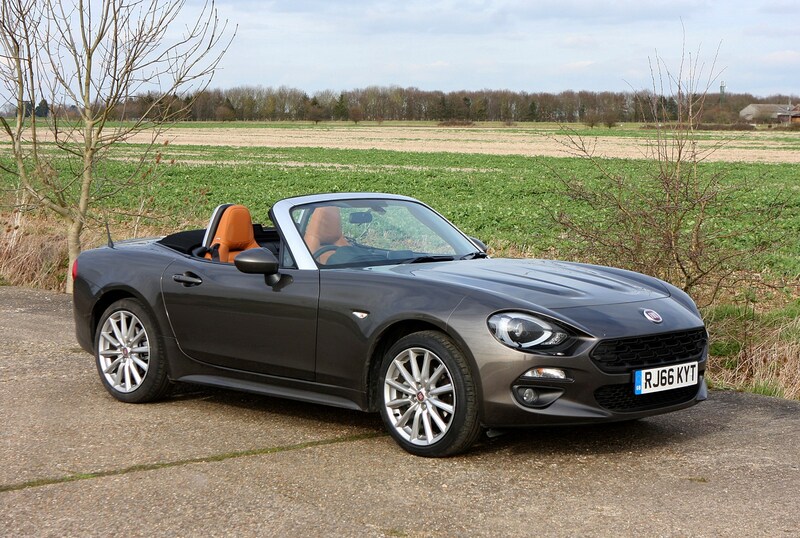 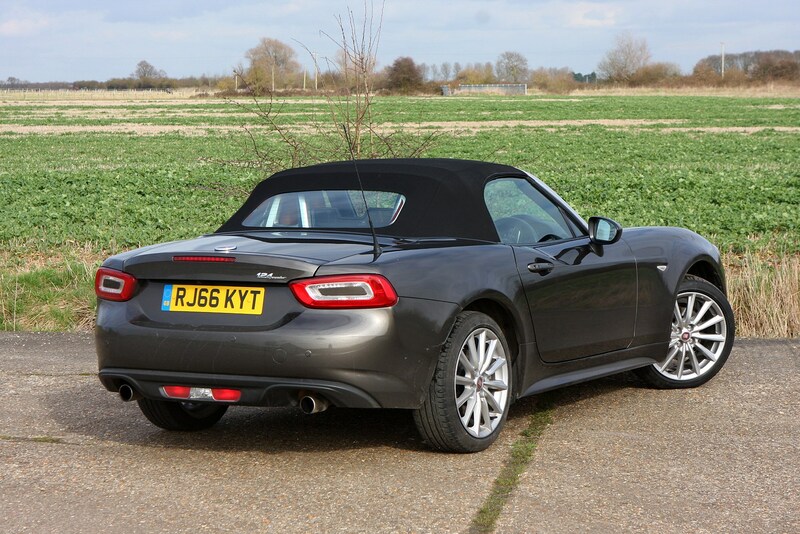 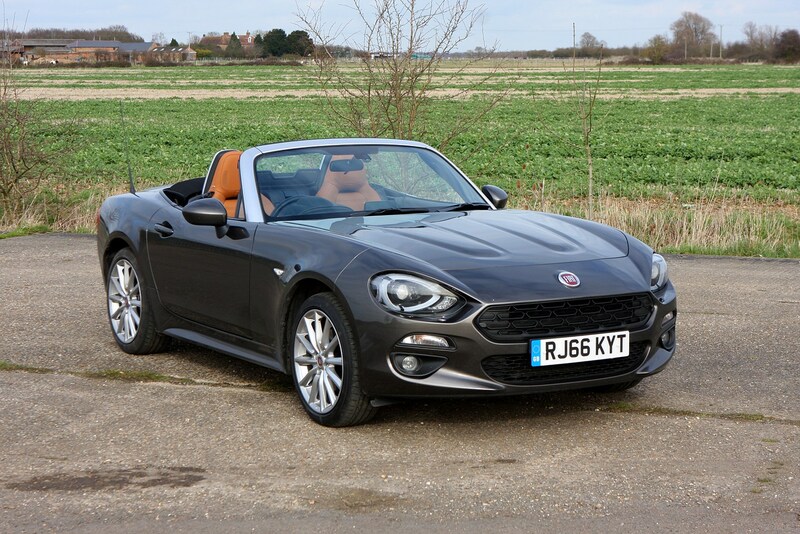 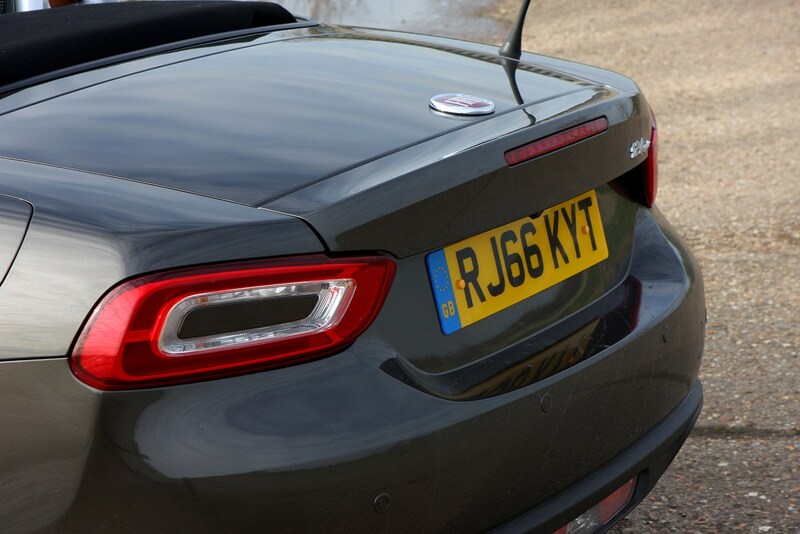 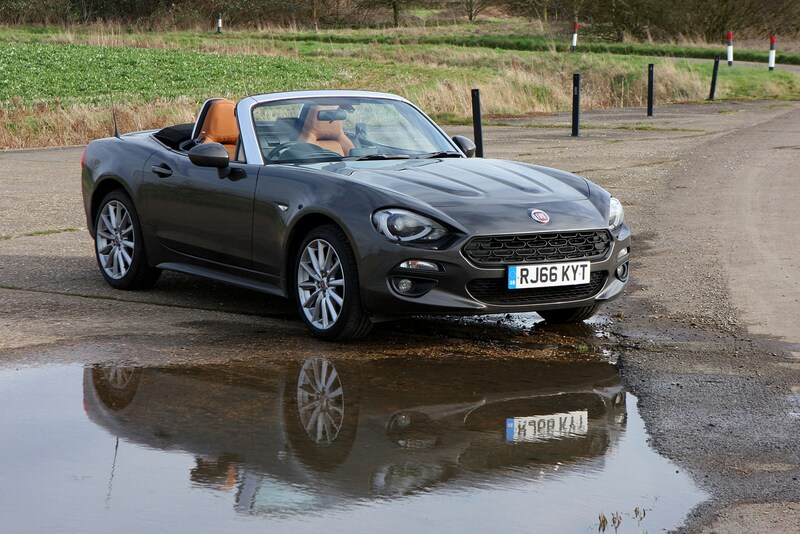 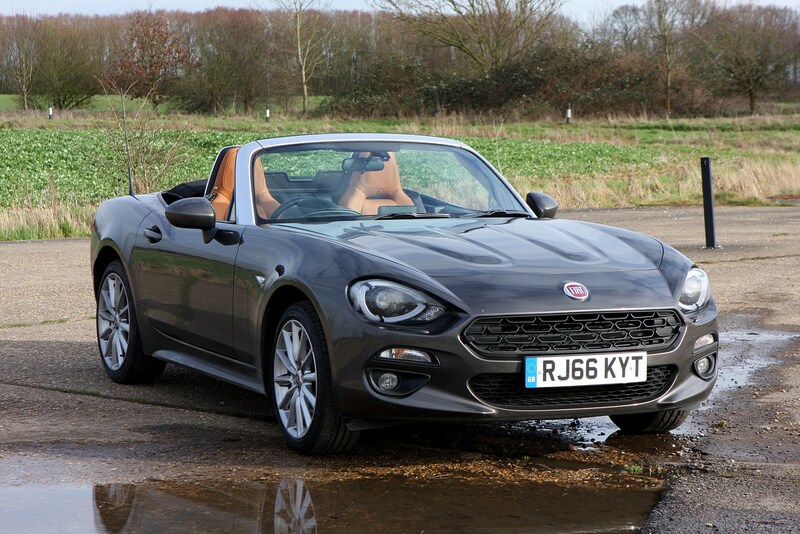 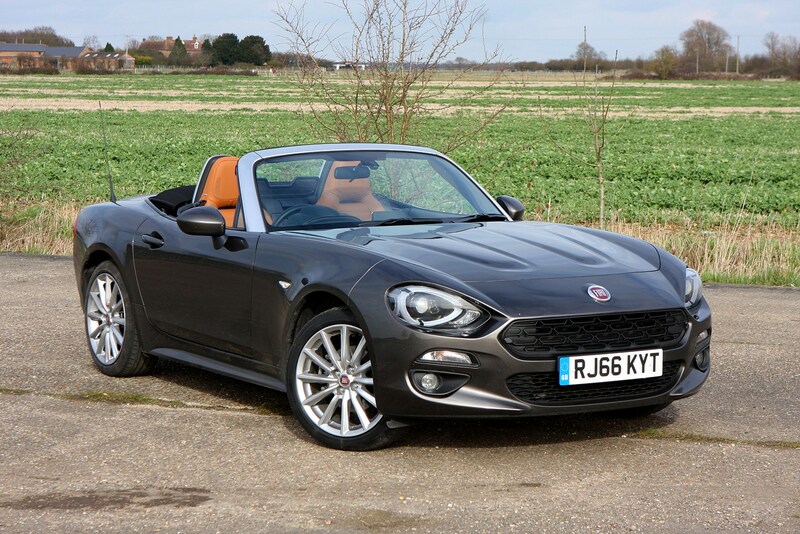 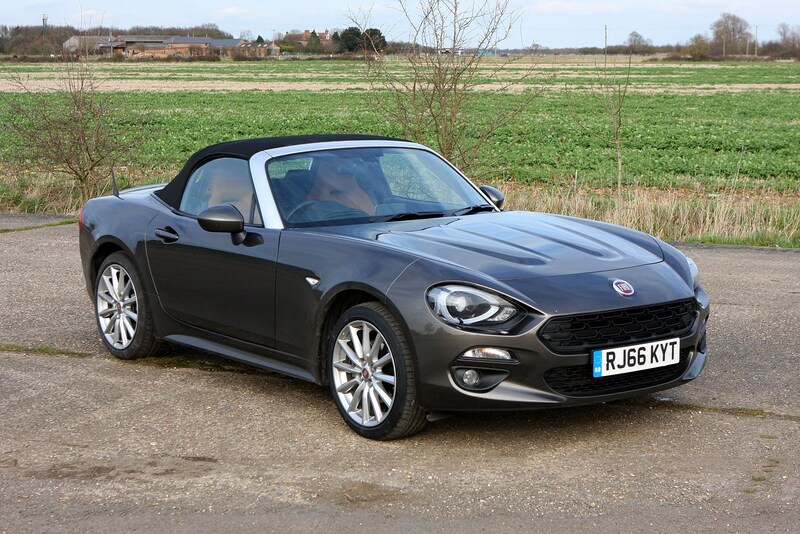 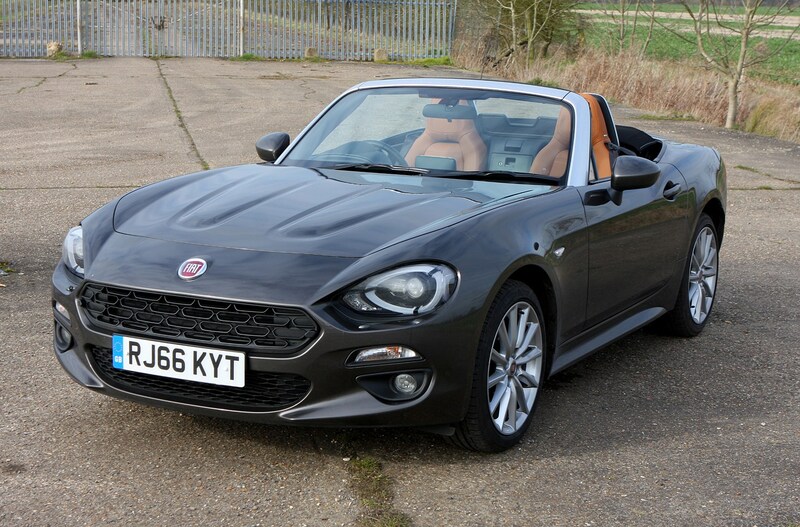 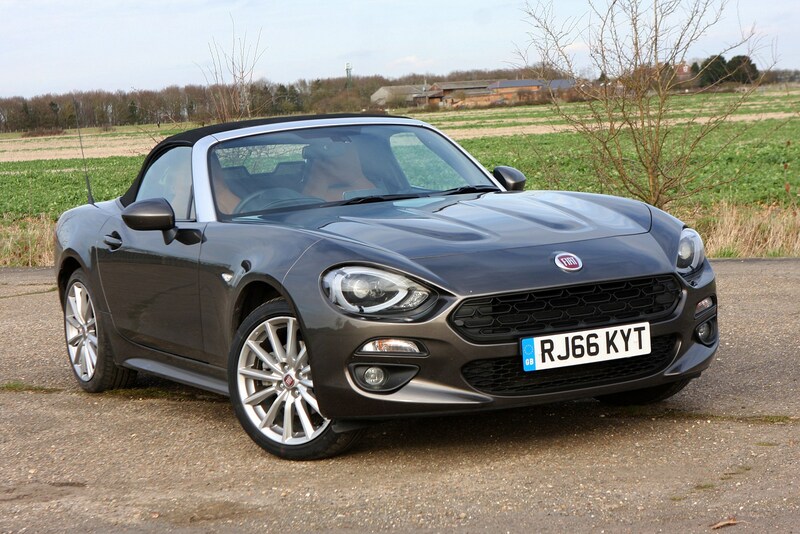 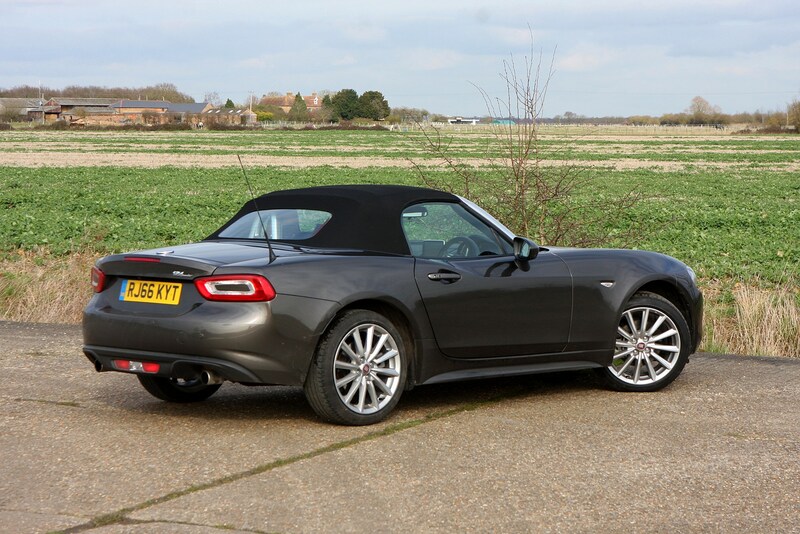 The little Fiat rides rough roads effortlessly, and while there’s a little body roll initially, this is kept in check nicely and with a little more conviction than the Mazda on its standard settings (a firmer, sporty suspension pack can be fitted to 2.0-litre MX-5s). 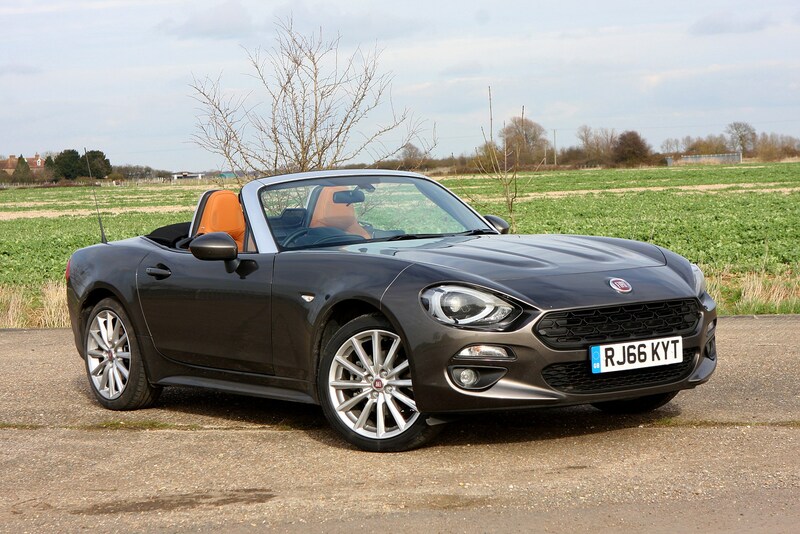 It’s a well-judged balance, proving equally adept on rough urban routes and smooth back roads, yet still leaves plenty of wiggle-room for the more performance-oriented Abarth 124 Spider. 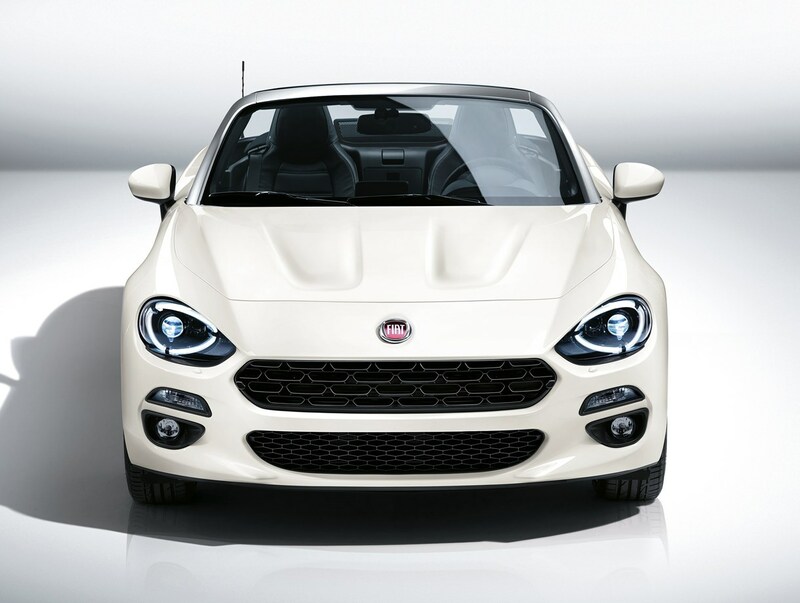 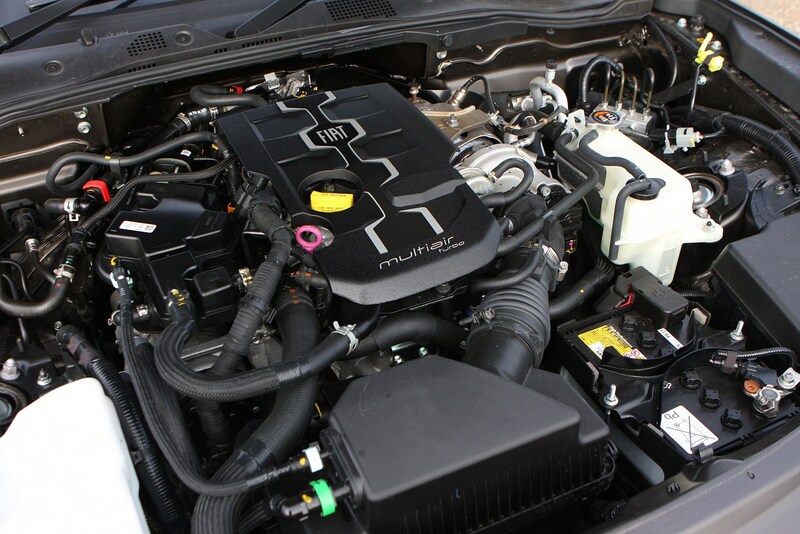 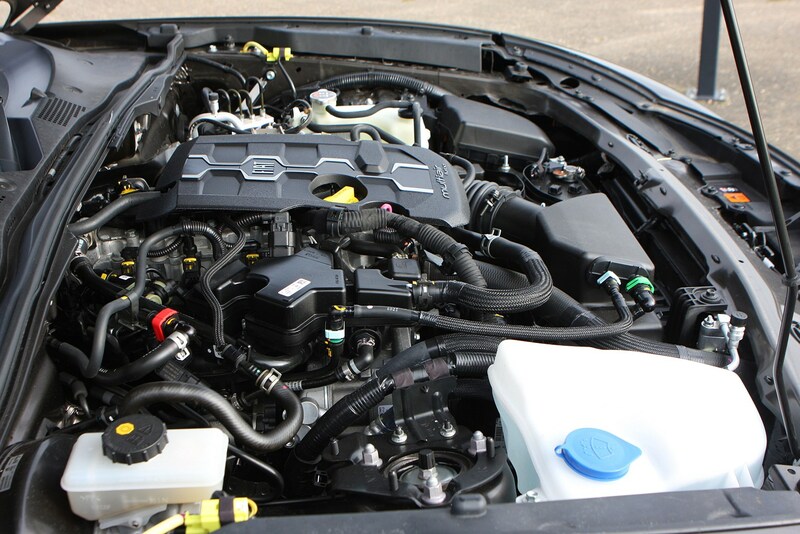 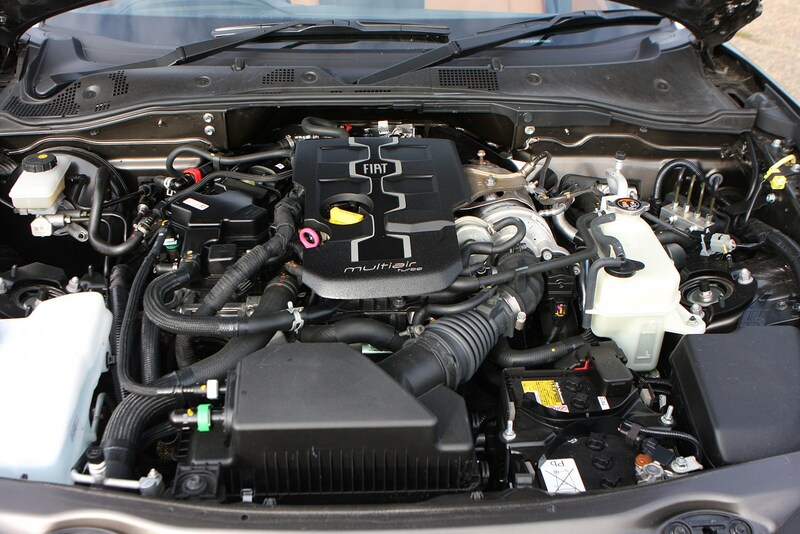 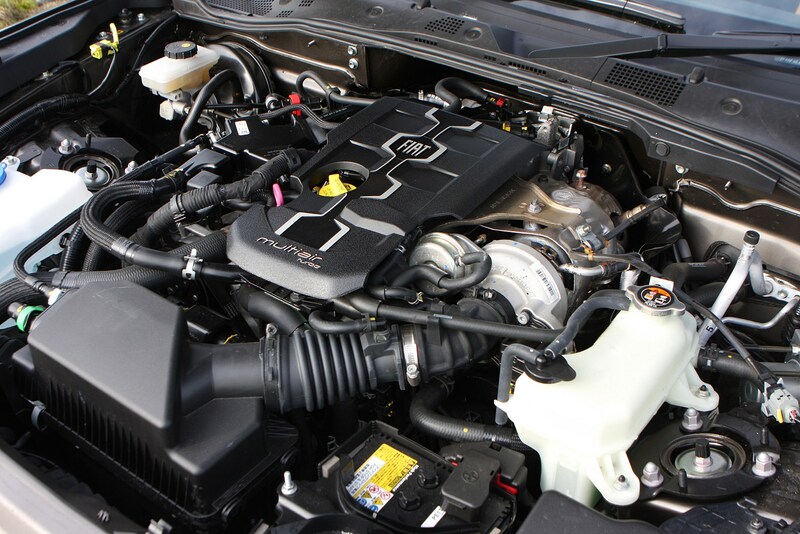 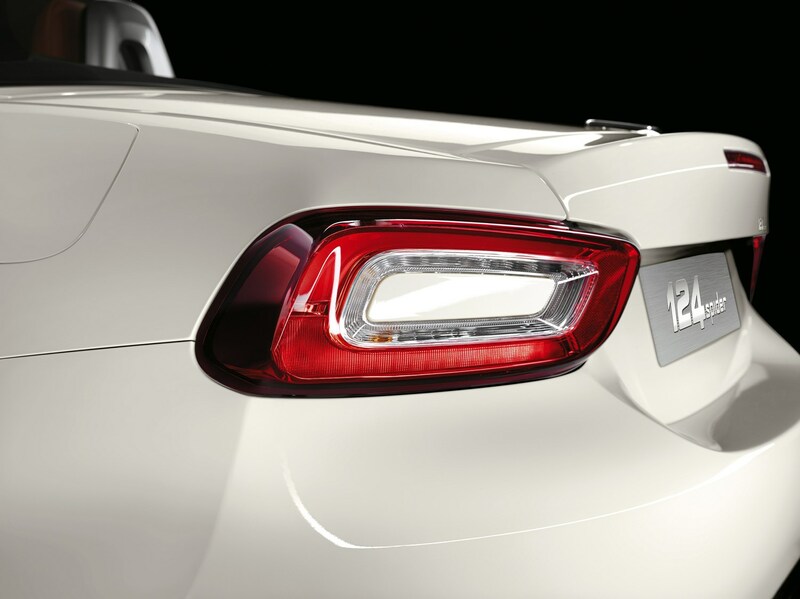 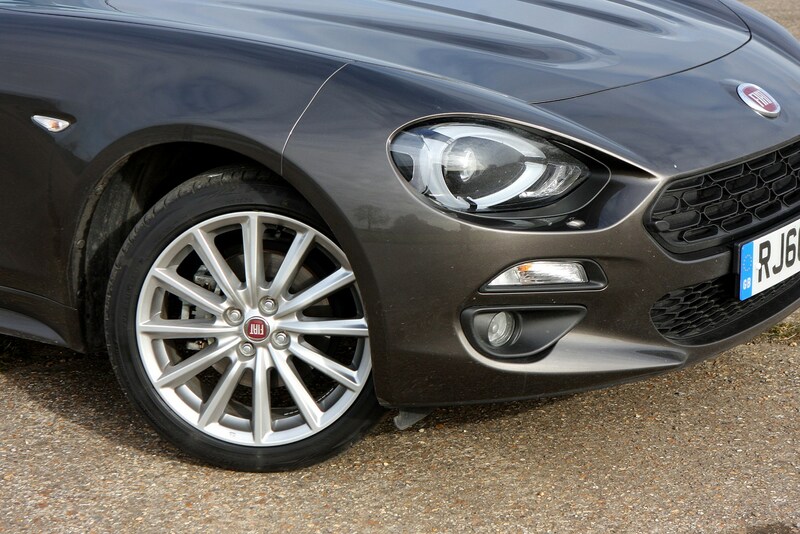 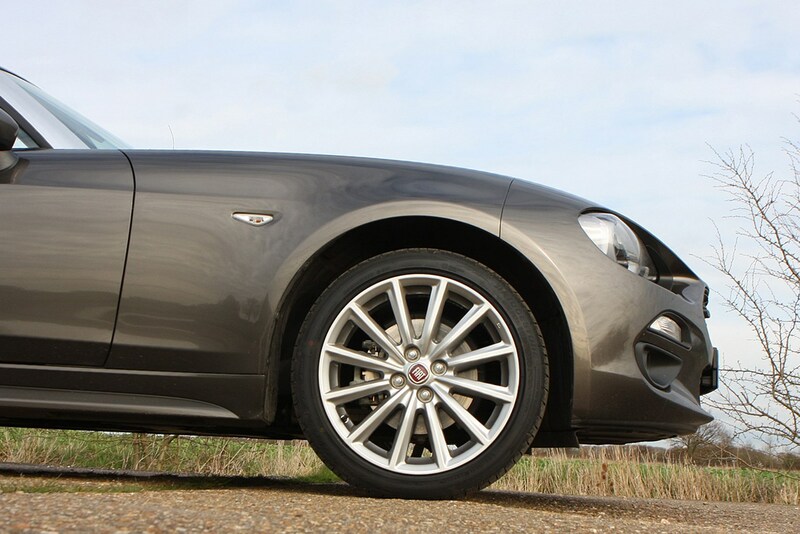 The 1.4-litre Fiat engine works brilliantly in the featherweight 124. 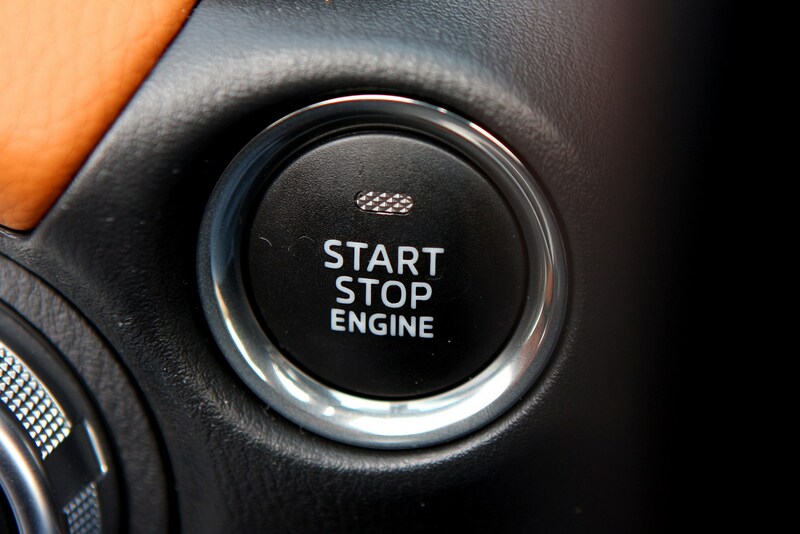 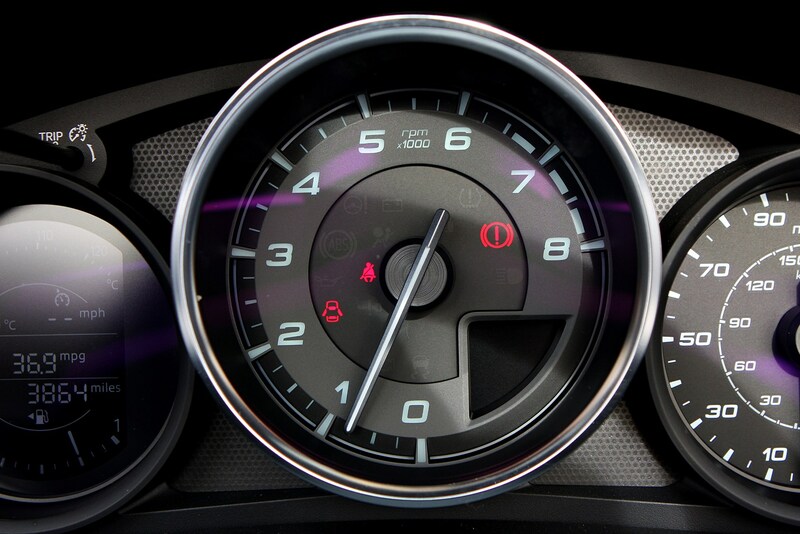 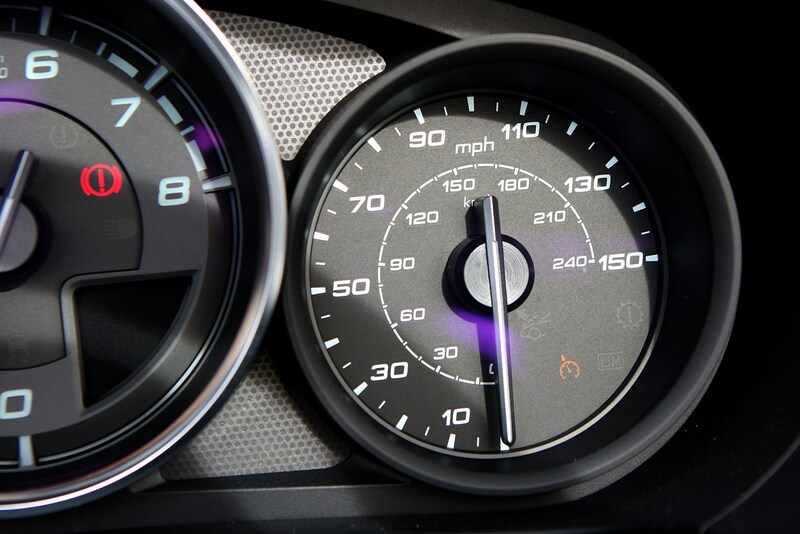 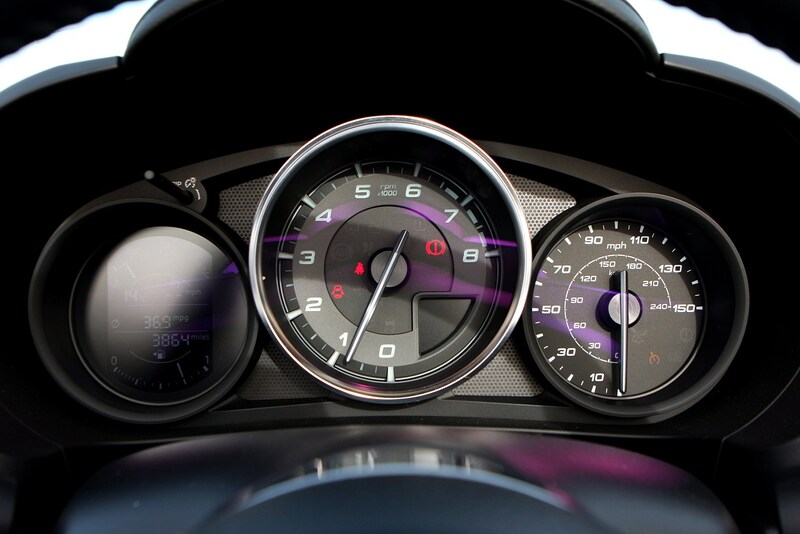 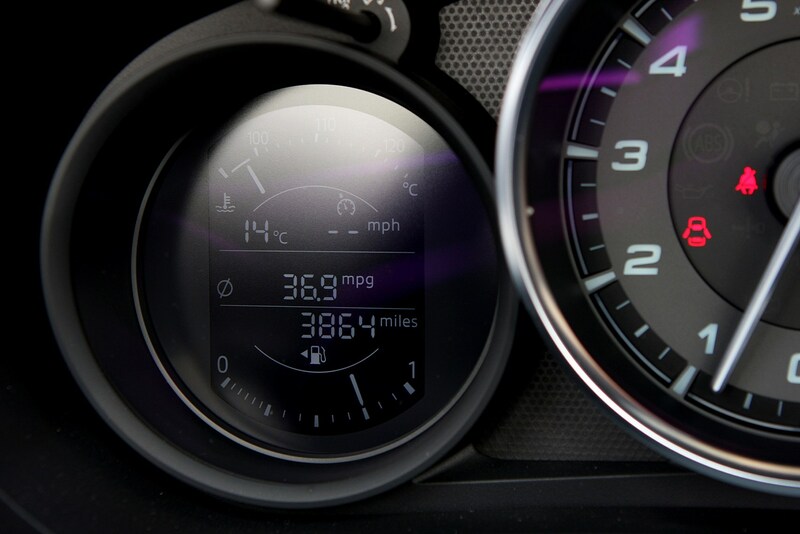 Where the Mazda engines are light on torque but exciting in the breathless way in which they spin to their redlines, the Fiat delivers a broad and very linear spread of muscle from 2,500rpm to 6,500rpm. 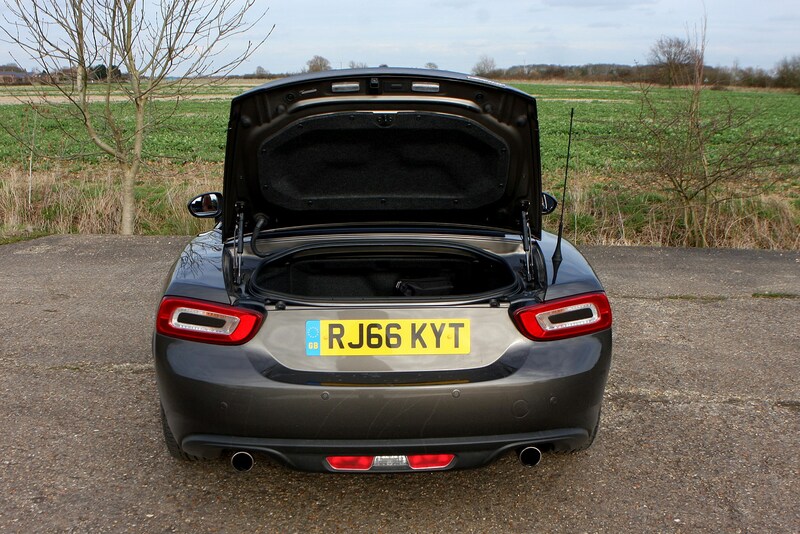 There’s very little lag, response is good for a turbocharged engine and, while 140bhp and 240Nm of torque aren’t blistering, when you factor in the car’s lack of mass, there’s enough performance here to keep you and the keen chassis interested. 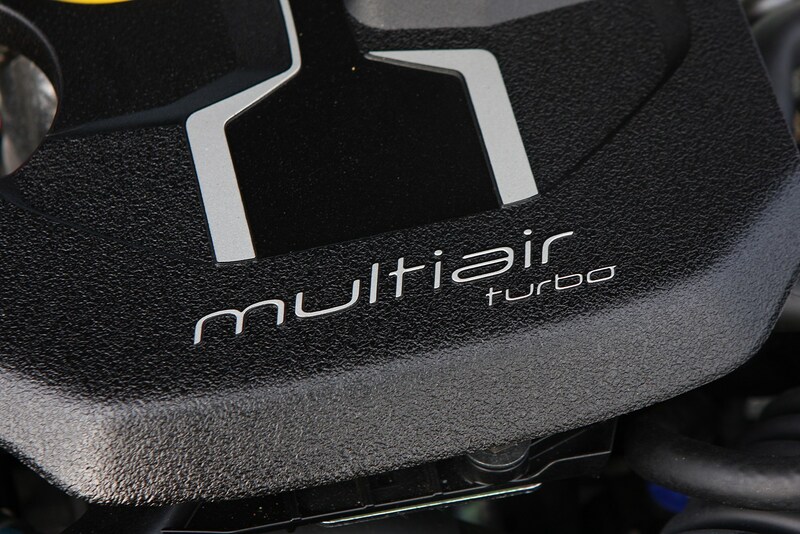 It’s a smooth, potentially very economical and impressively refined motor too, with only the faintest of whistling to betray the turbocharger’s presence. 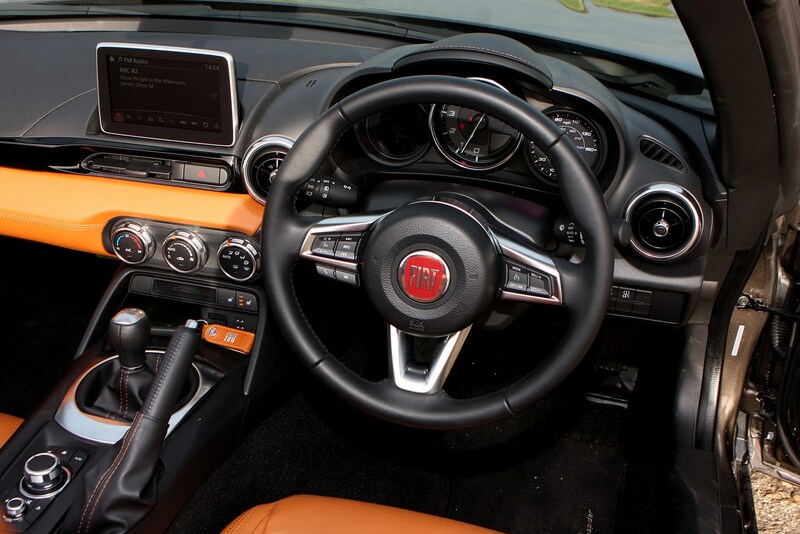 Inside, little effort’s been wasted trying to disguise the cabin’s Mazda architecture. 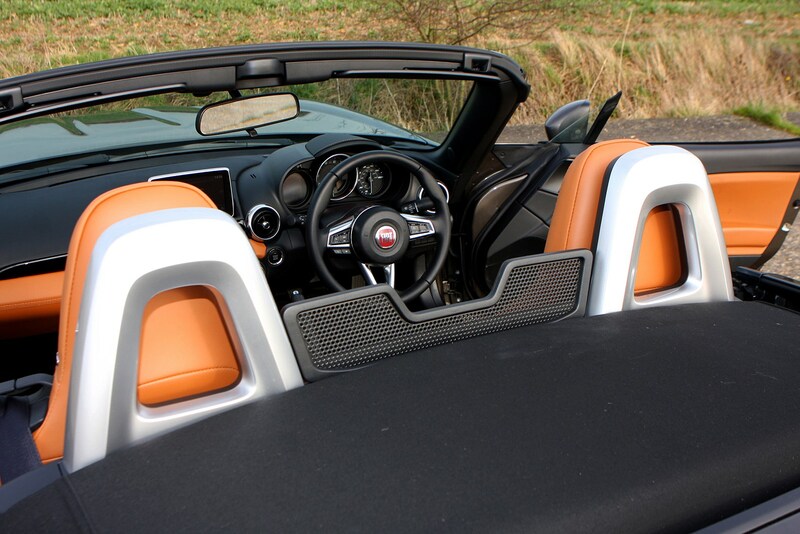 It’s classic two-seat roadster stuff, with a pair of low-set but pretty comfortable seats, a high but nicely cosy transmission tunnel and clear, logical instruments. 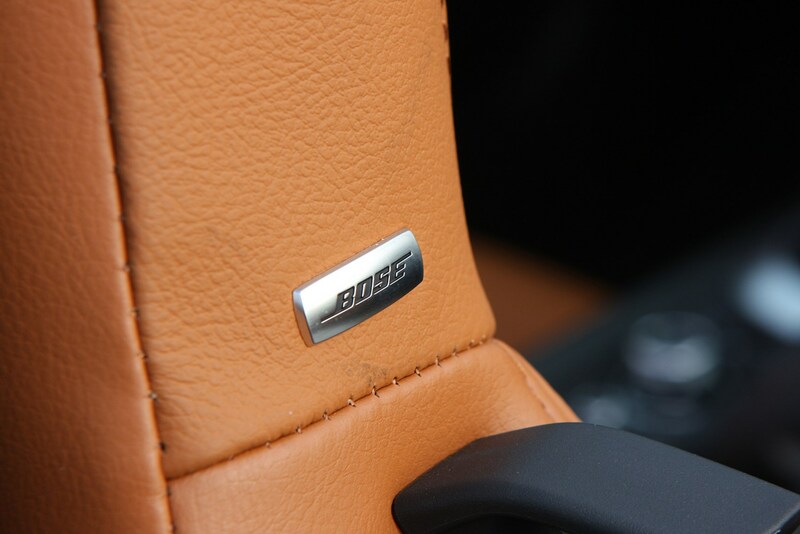 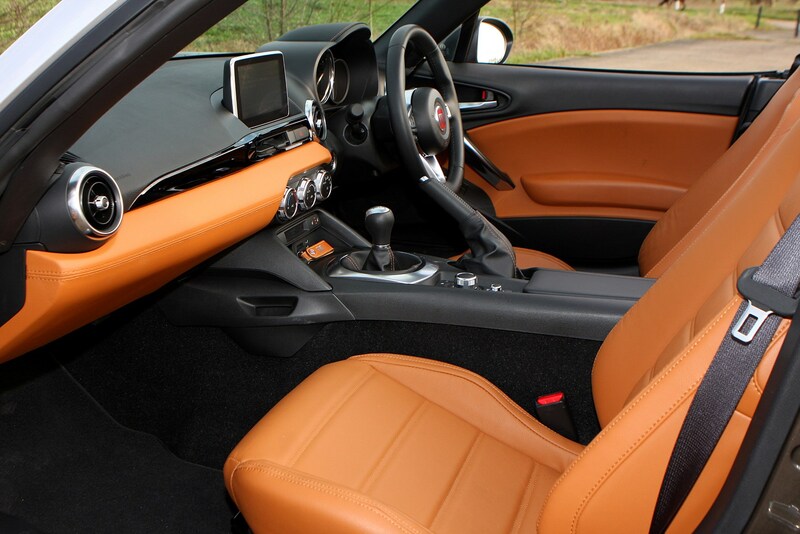 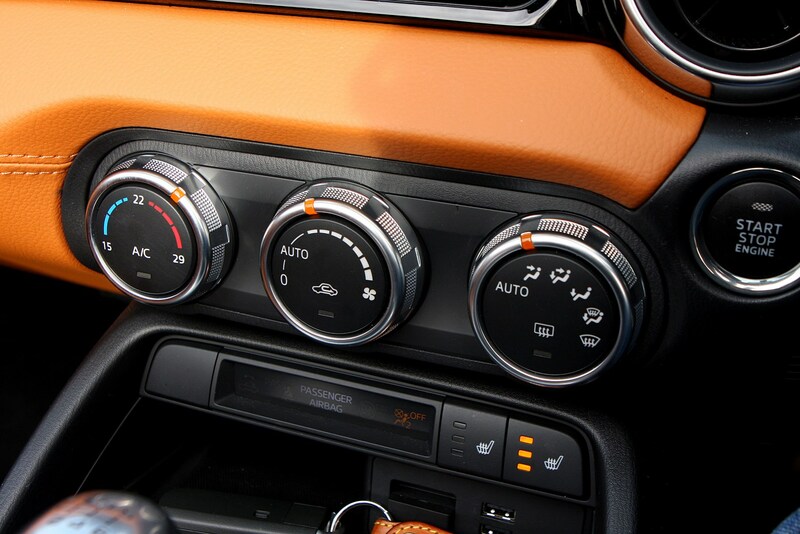 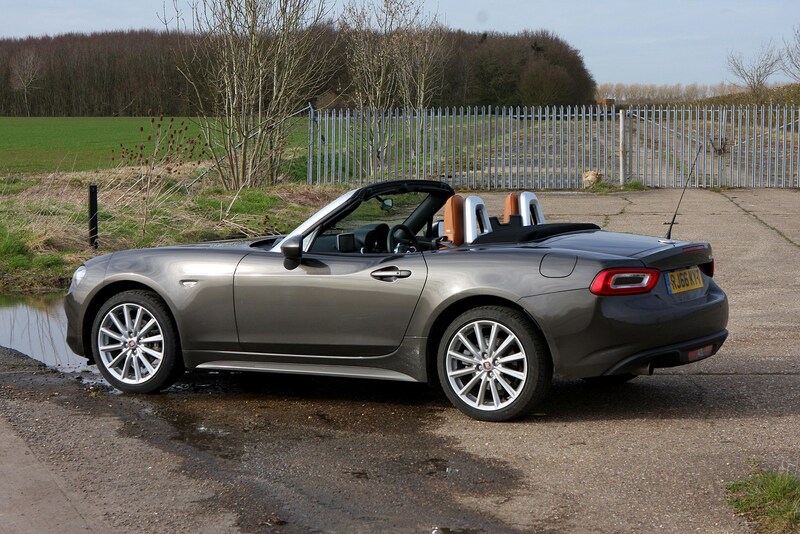 The 124 Spider enjoys a finer grade of materials than you’ll find in the MX-5, and the optional infotainment system is common to both cars and works well: easy to use, clear and fuss-free. 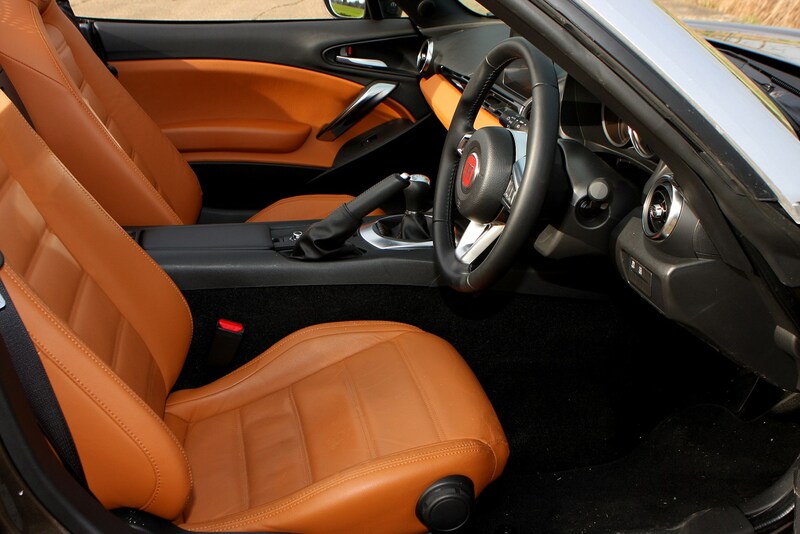 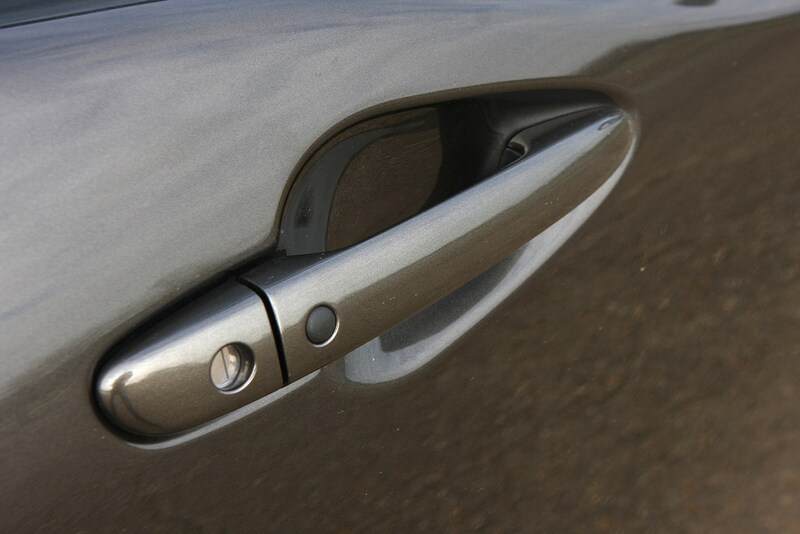 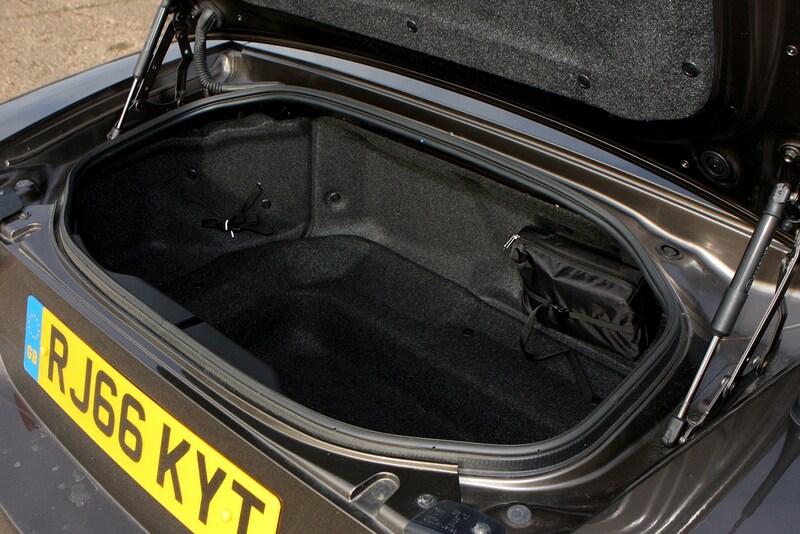 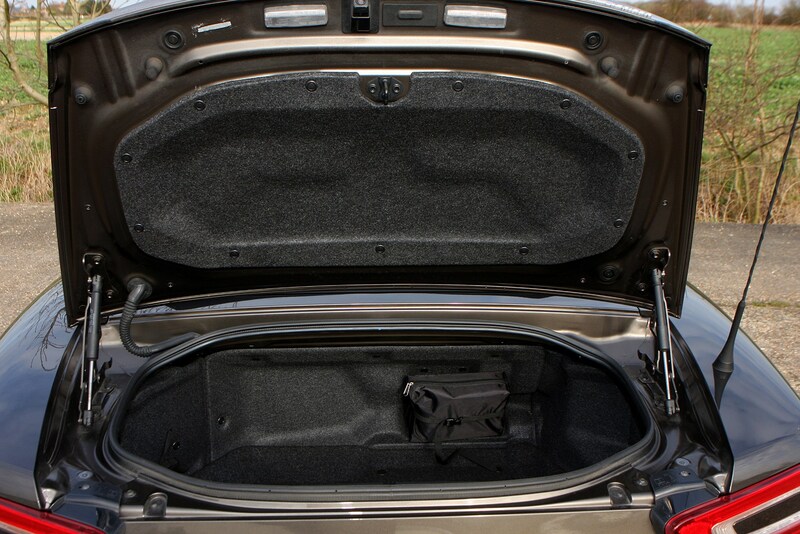 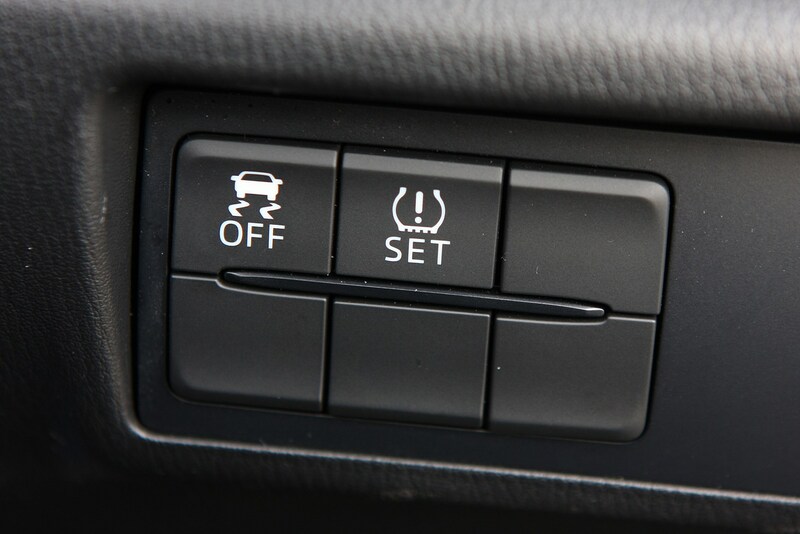 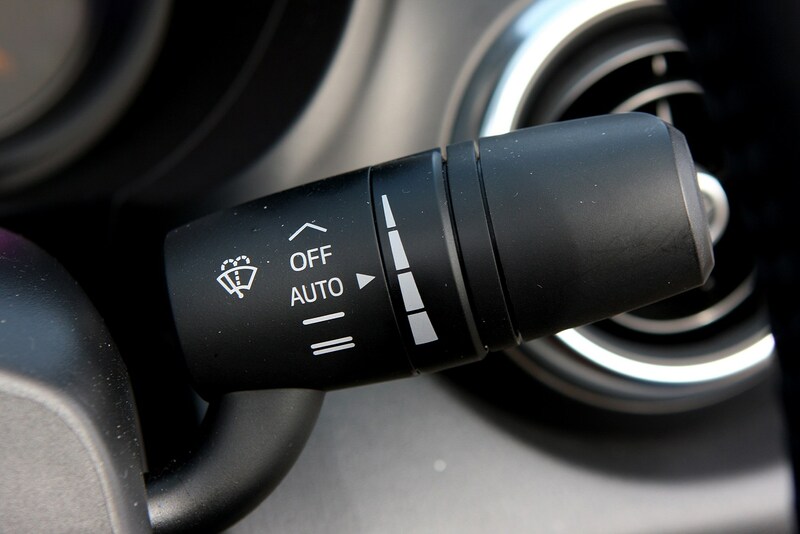 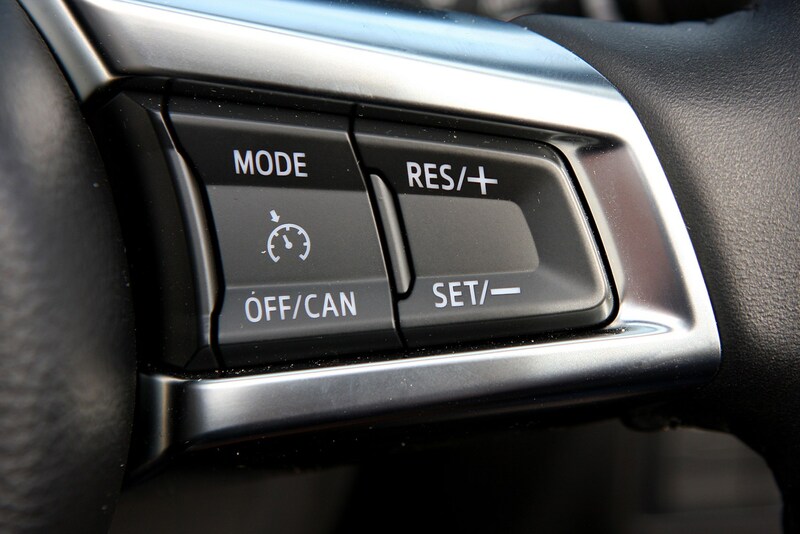 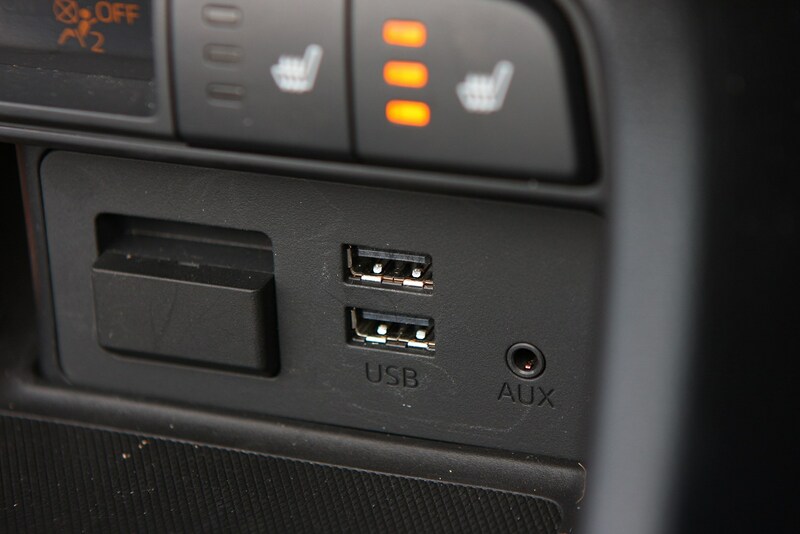 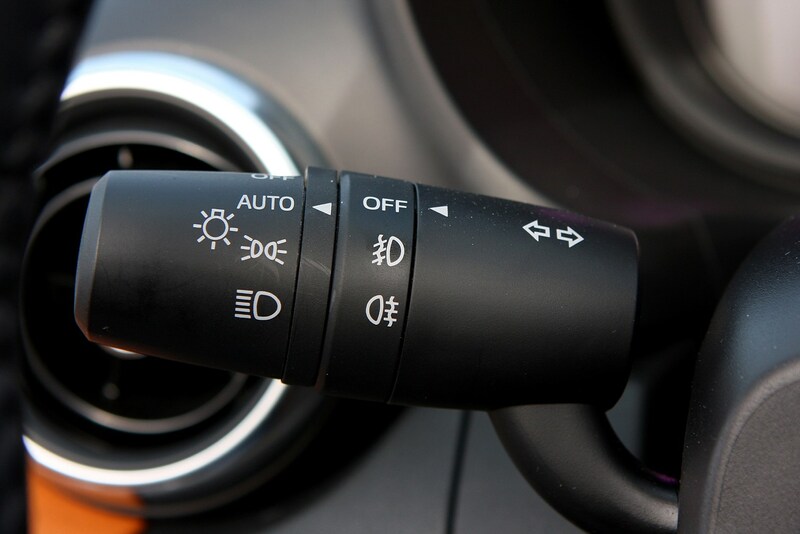 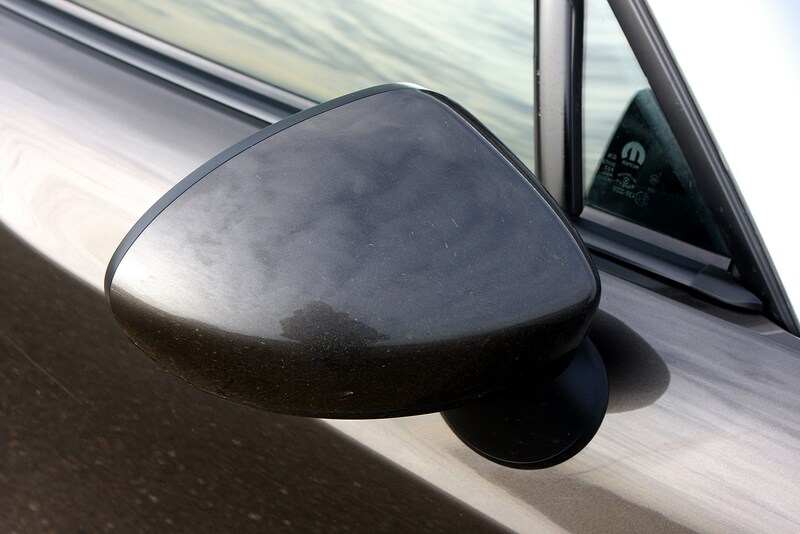 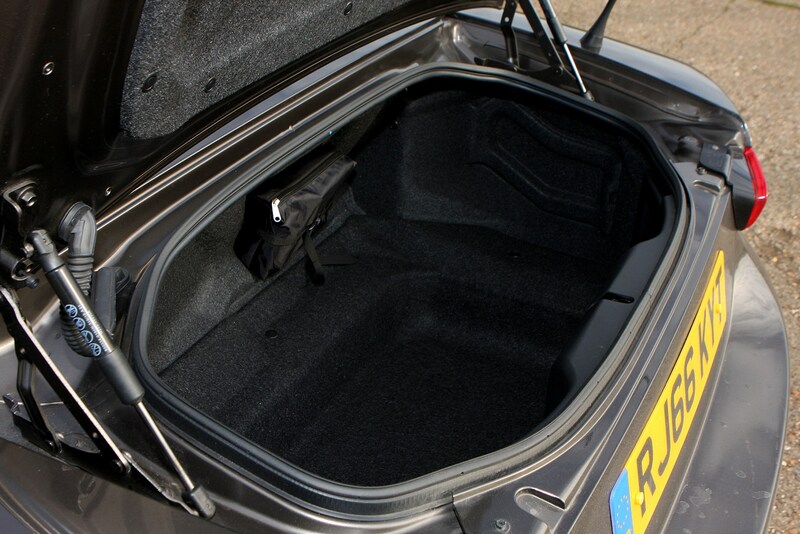 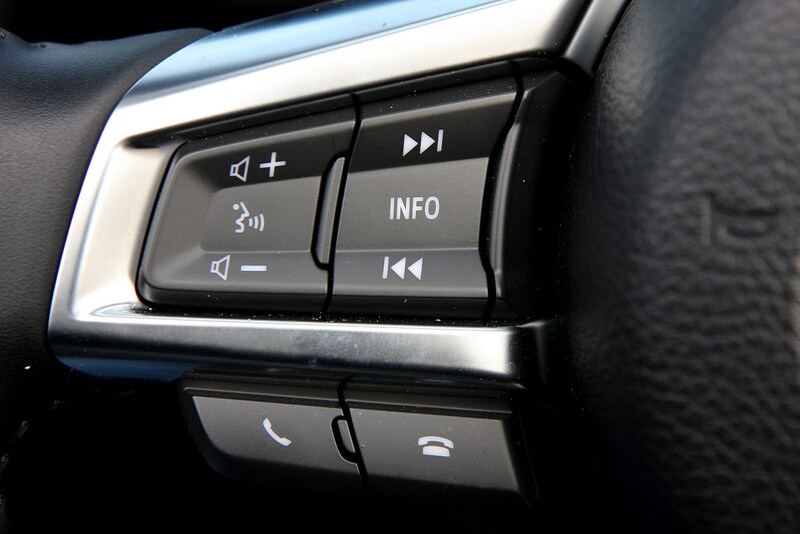 The only gripes are a general lack of space – drivers more than 6ft tall may struggle – and the fact that the steering wheel lacks reach adjustment. 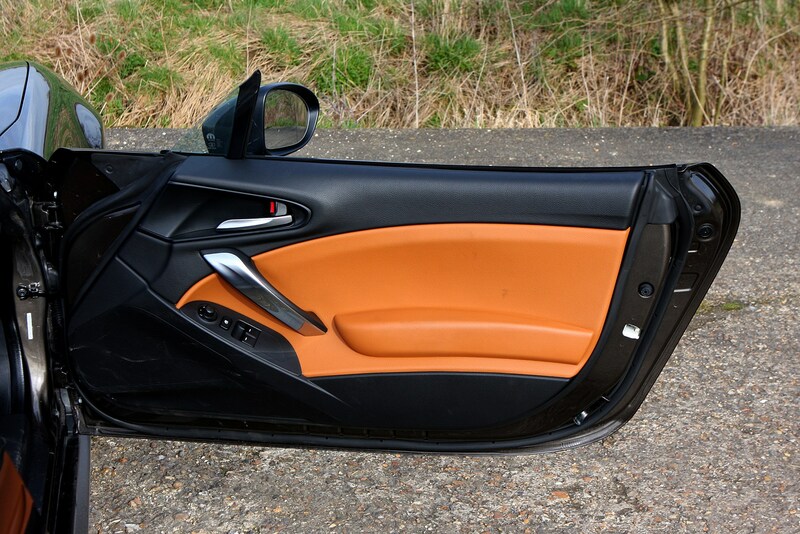 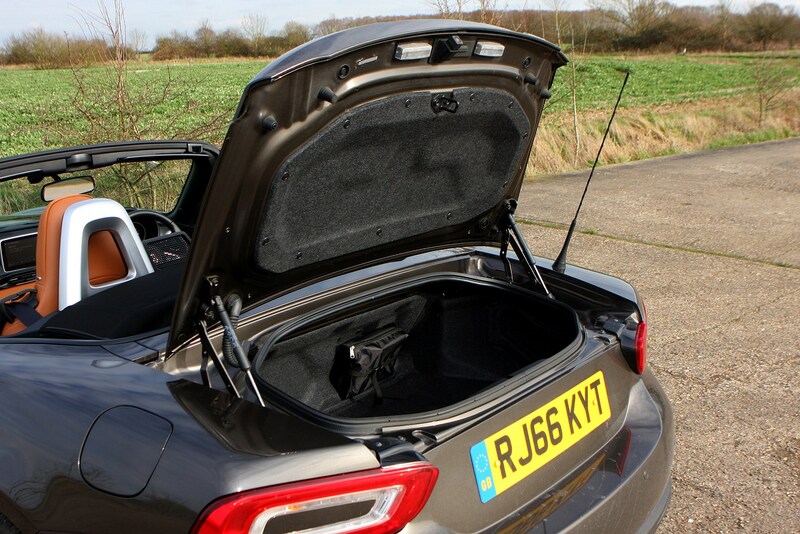 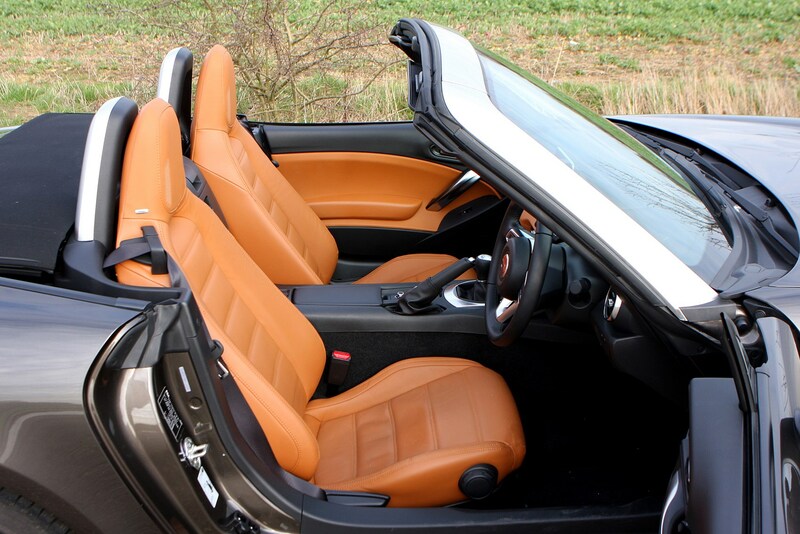 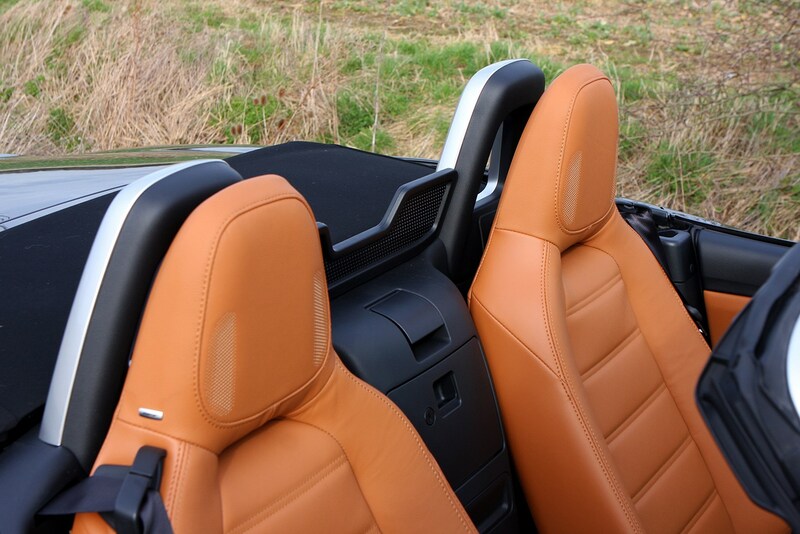 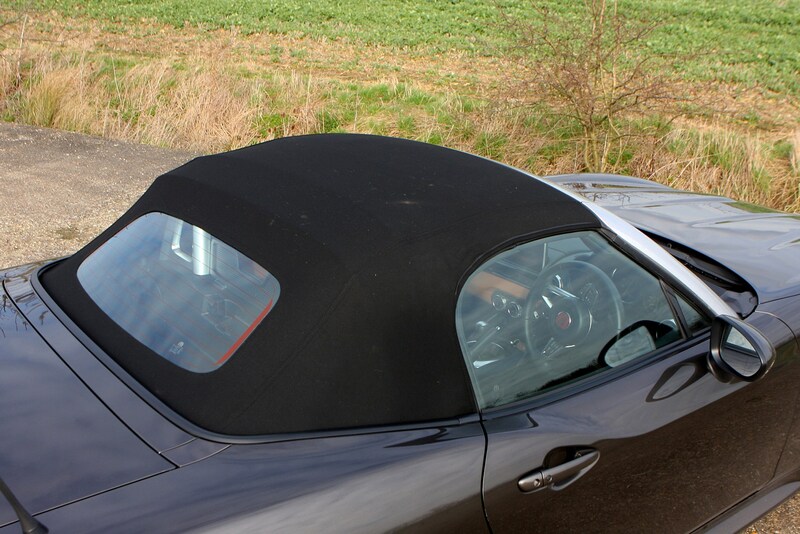 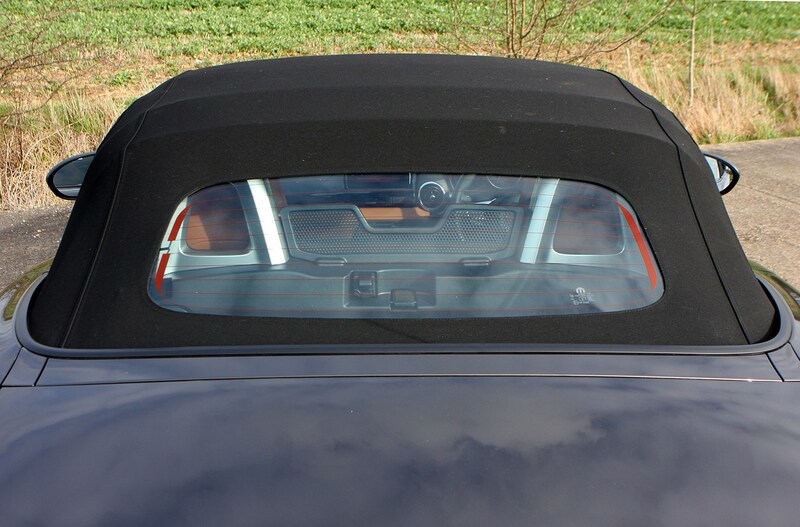 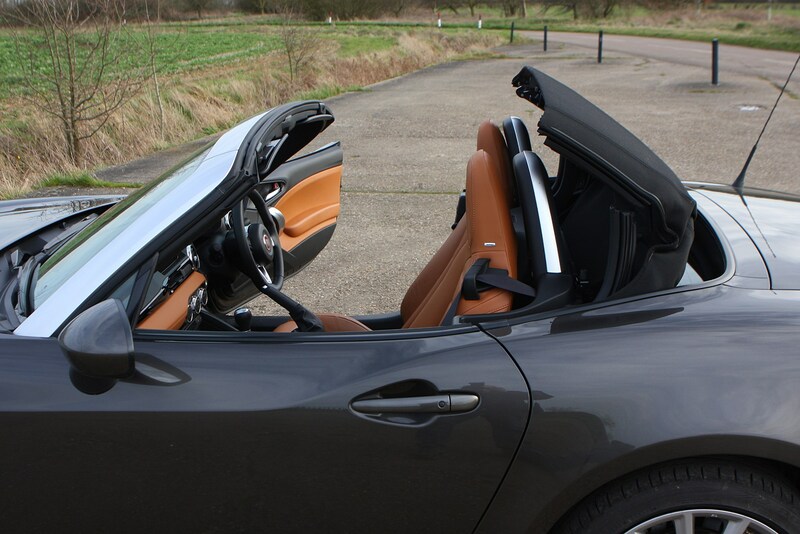 The folding soft-top roof is identical to the MX-5’s and a brilliant design: light, compact and so easy to use you can go from roof-up to open-top in about three seconds. 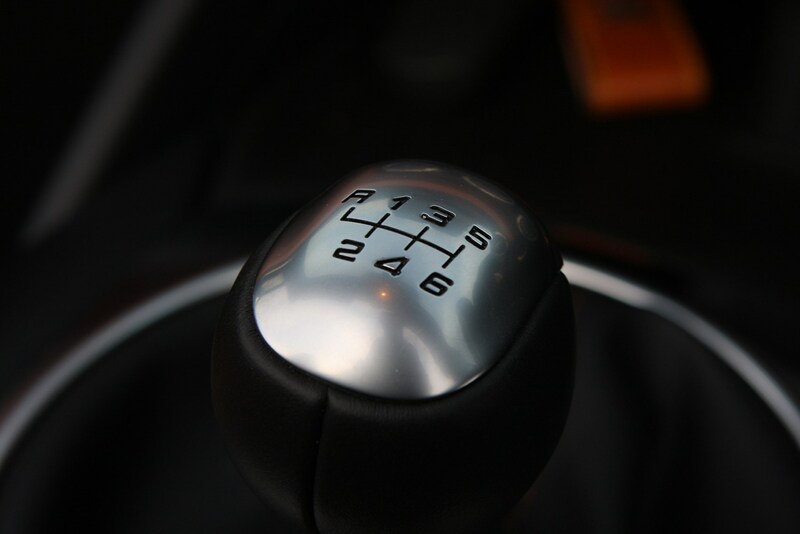 There’s no mechanism doing the work for you but the system’s so well designed there’s simply no need. 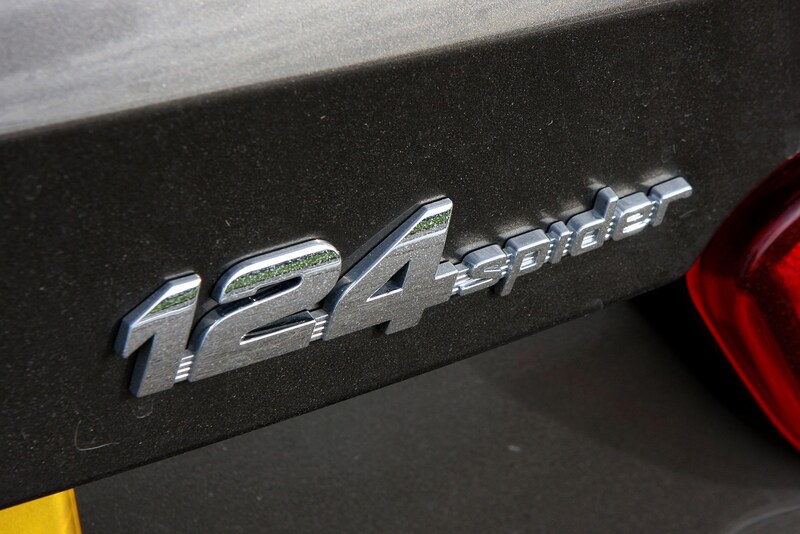 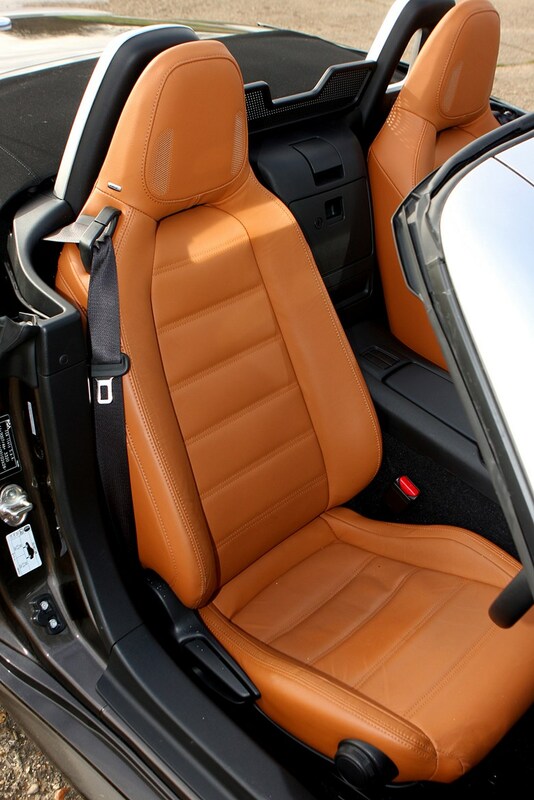 The 124 Spider is an attractive, keenly priced and very enjoyable roadster that successfully updates the timeless appeal of a lightweight, two-seat sports car for the 21st century. 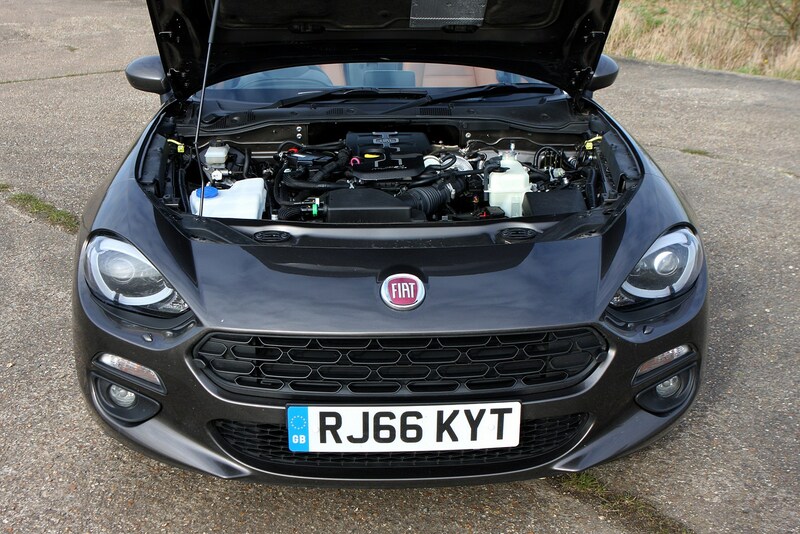 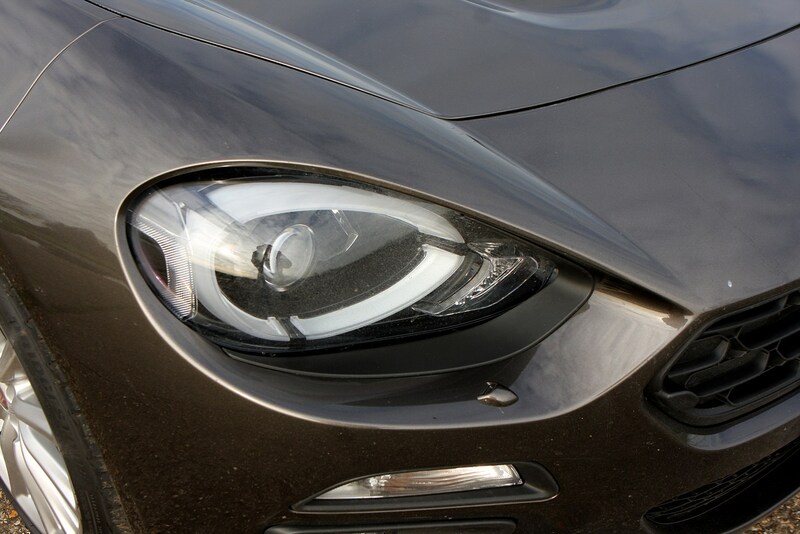 The Fiat’s design is yours to judge but there’s no doubt its handling and ride are every bit as good as the Mazda’s, and while its engine is no rev-hungry firecracker, its relatively torque-rich power delivery makes for effortless performance when you’re cruising and an engaging turn of speed when you’re in a hurry. 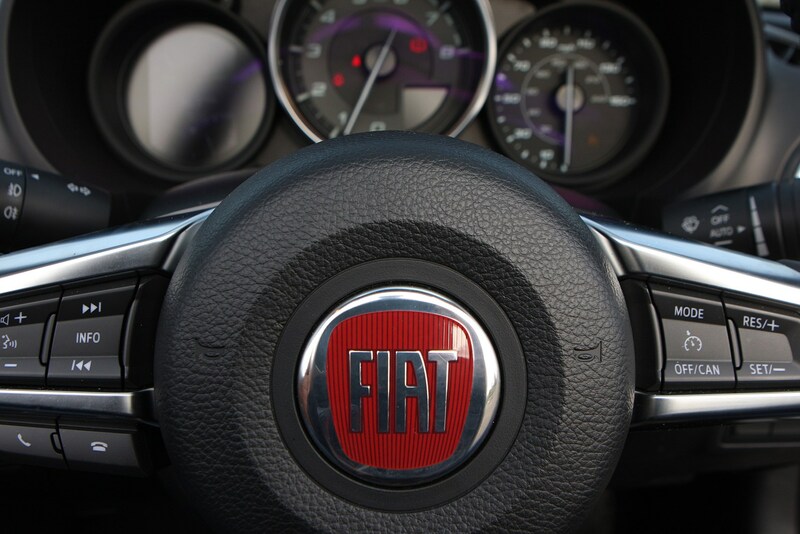 If you’re looking at either car, you’d be wise to test drive the other before buying.